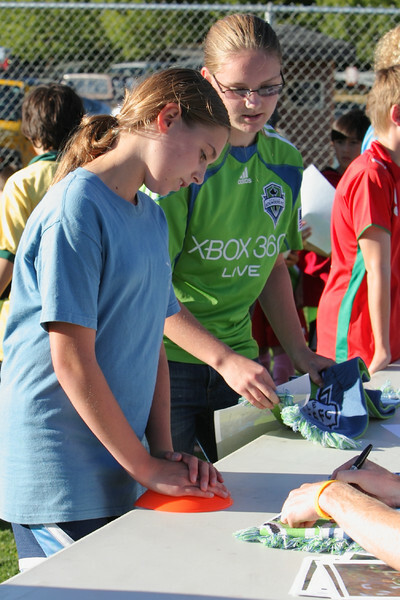 It's now mid-October and I've been unable to find any online 2012 schedules for Association matches anywhere, either at VISC or at TPCJSA. 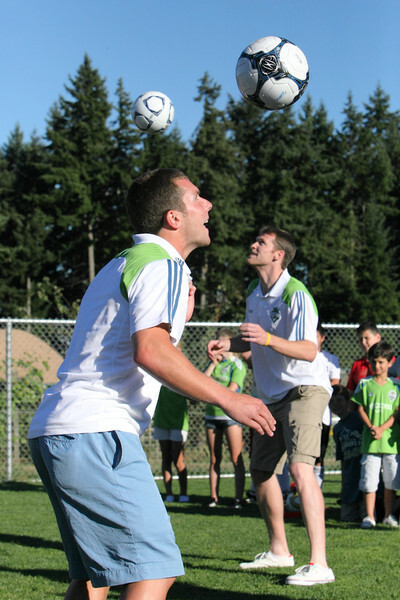 A couple people have told me that either the coaches aren't keeping up with this, or VISC isn't. 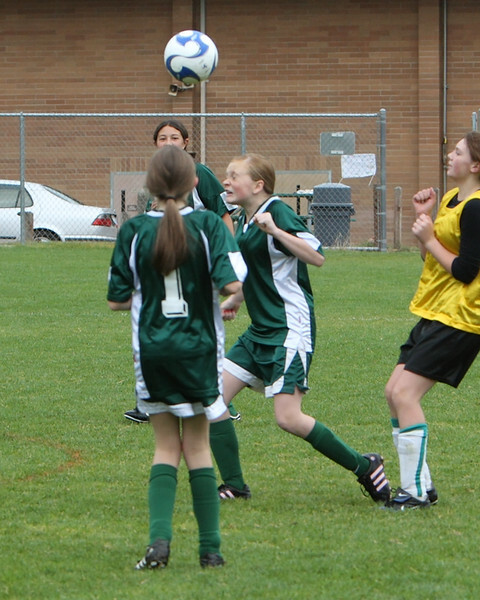 Anybody want to help me out here? 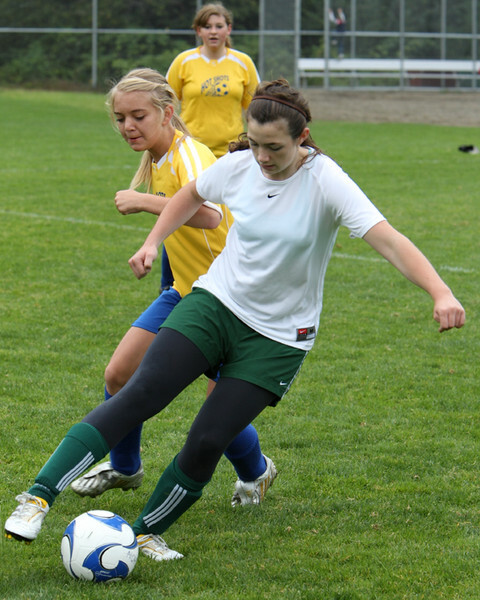 Vashon Velocity GU-14 from Saturday, September 10, 2011! 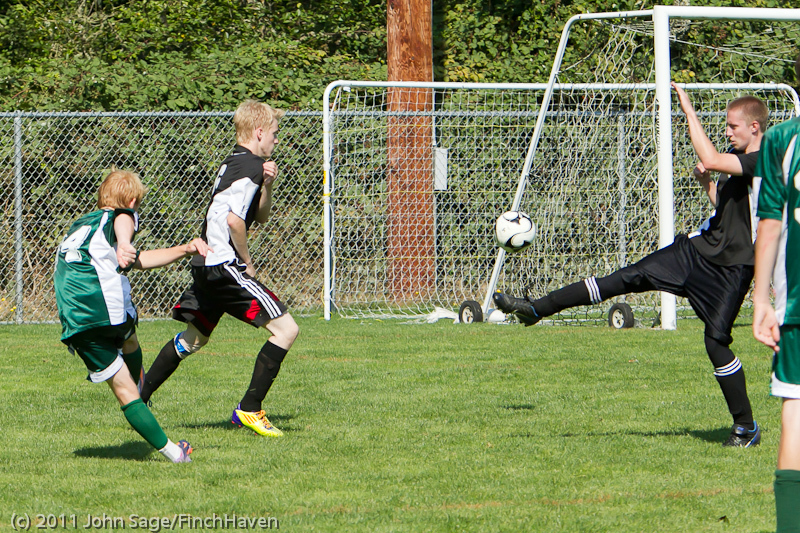 Vashon Velocity GU-14 Set one! 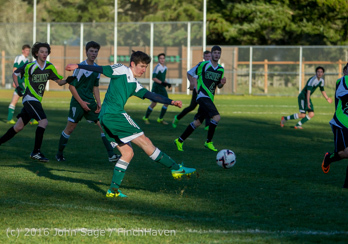 Vashon Velocity GU-14 Set two! 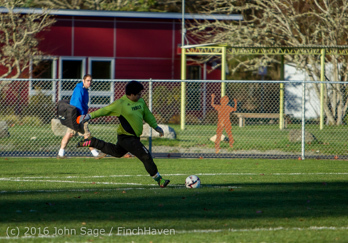 Vashon Velocity GU-14 Set three! 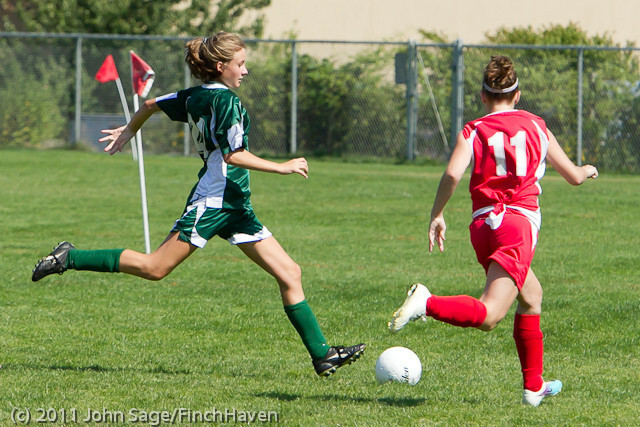 Vikings BU-16 from Saturday, September 10, 2011! 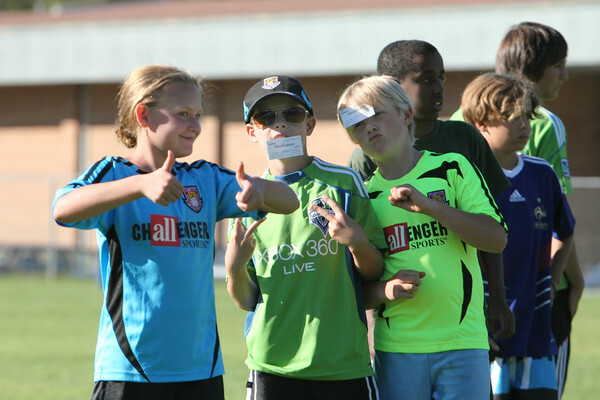 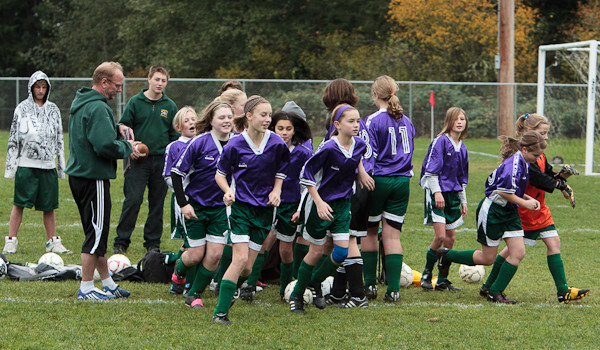 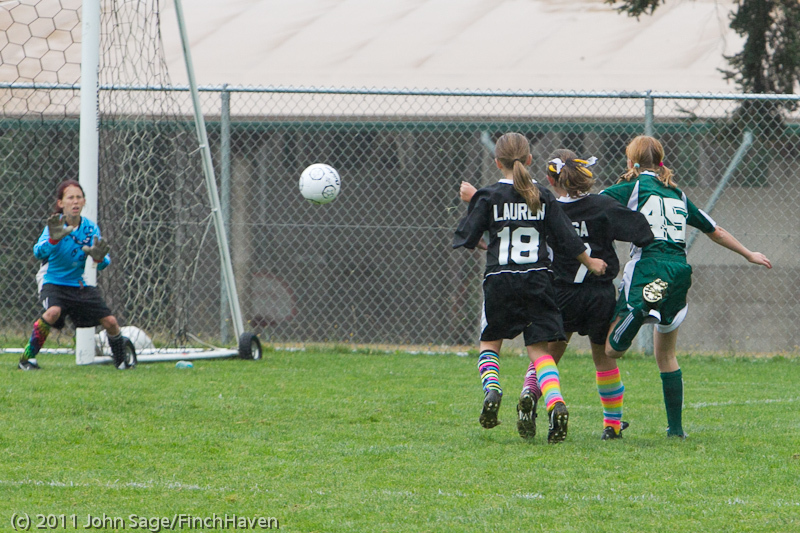 Comets FC GU-12 from Saturday, September 17, 2011! 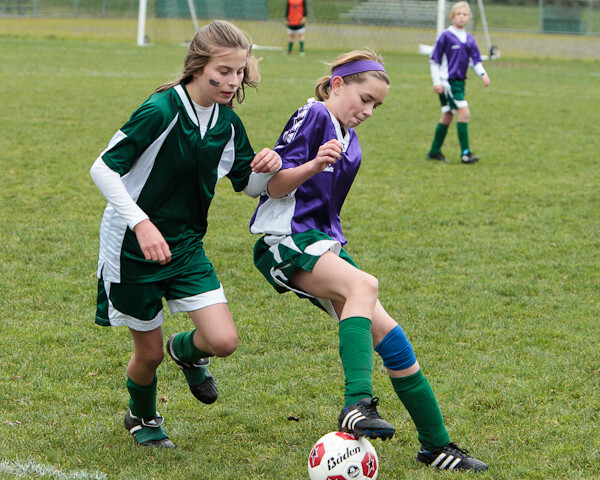 Alligators v Pirates FC GU-12, 11/13/10! 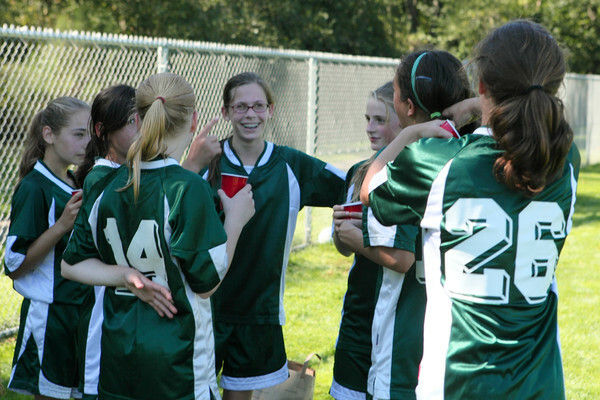 Mr Sage's (un-official) Good Sportsmanship Award, 2010! 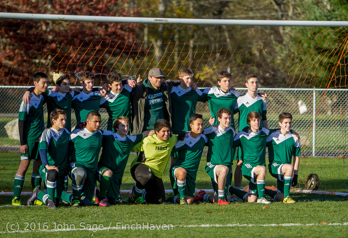 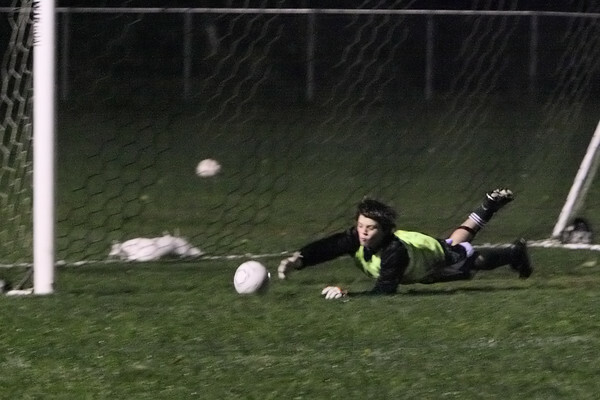 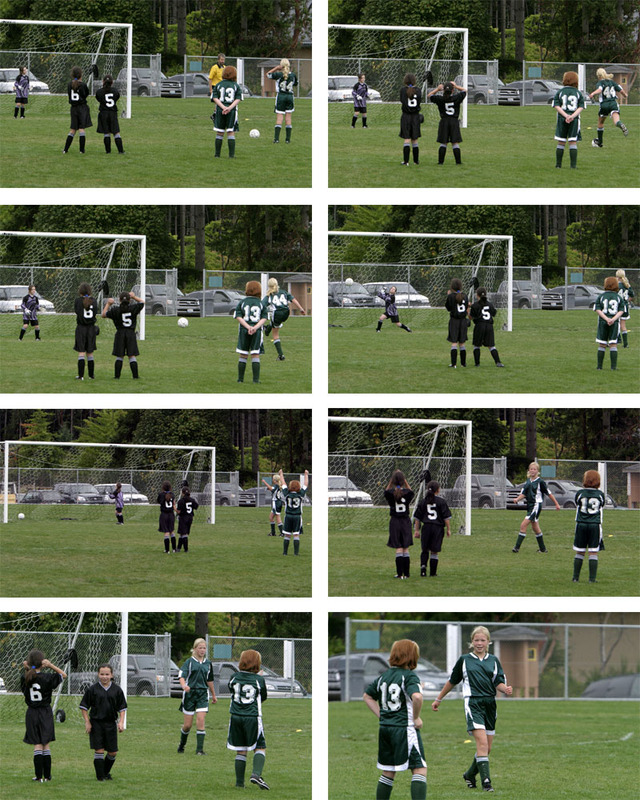 You might also enjoy: McMurray Boys Soccer v Seattle Christian 09/29/2010! 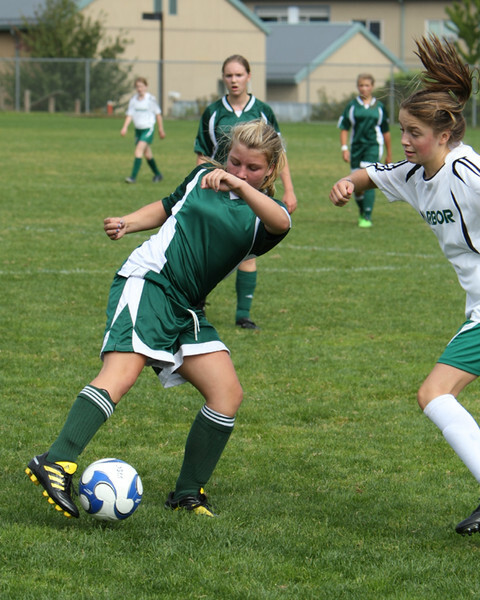 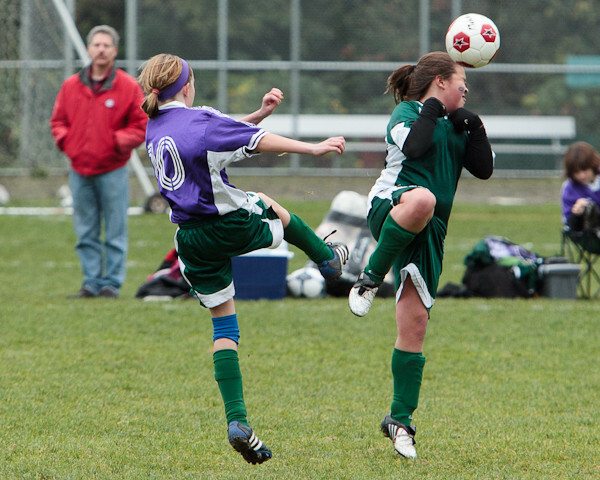 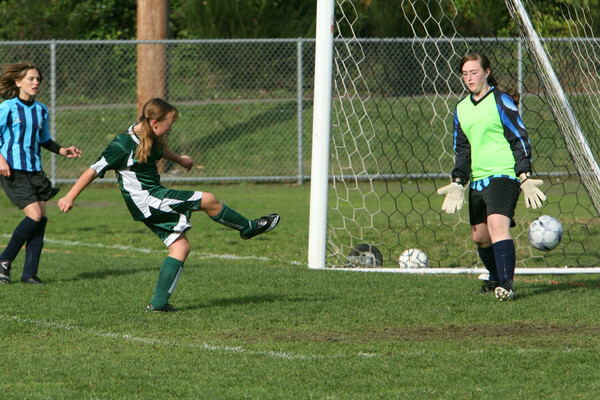 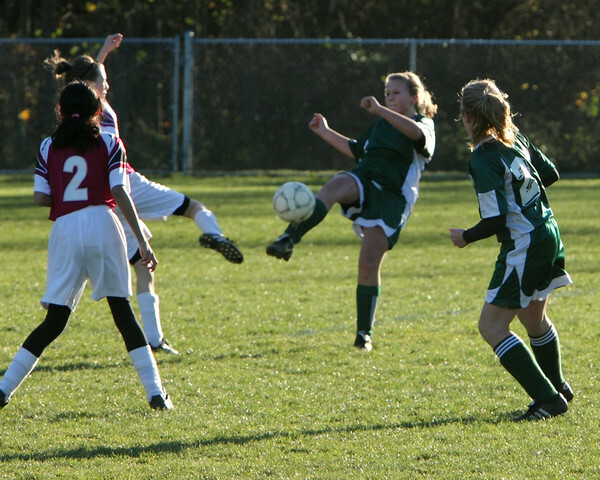 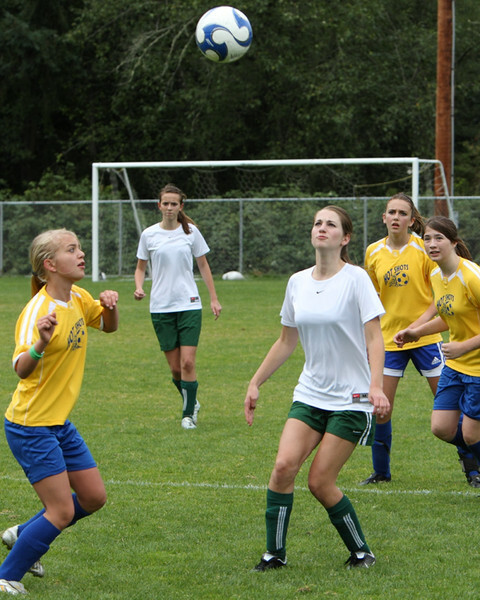 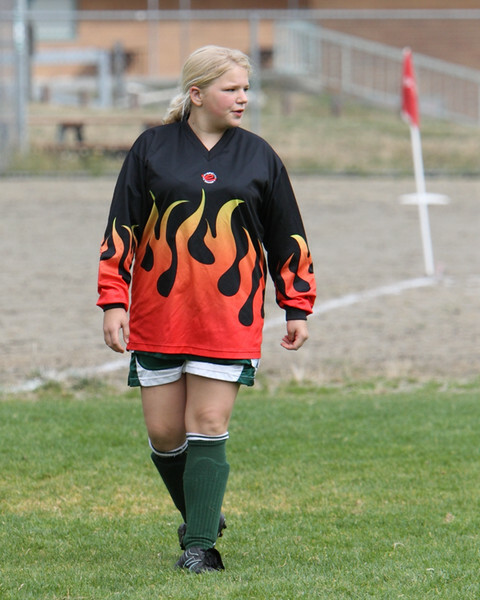 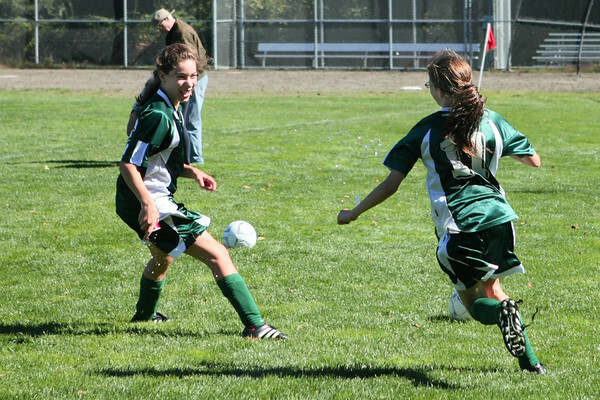 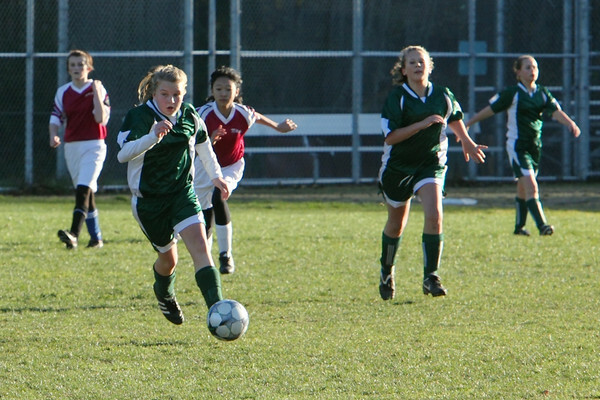 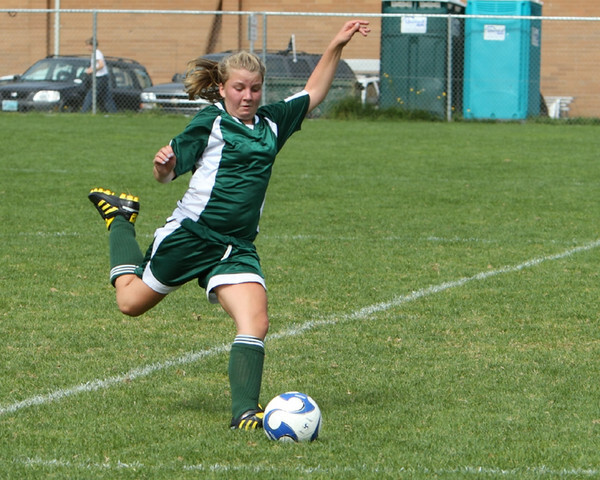 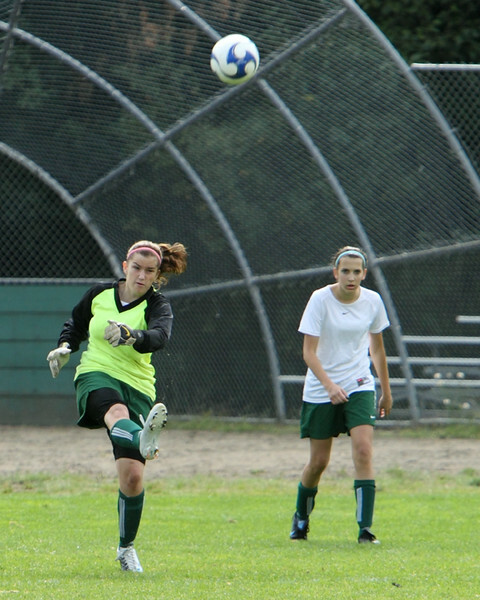 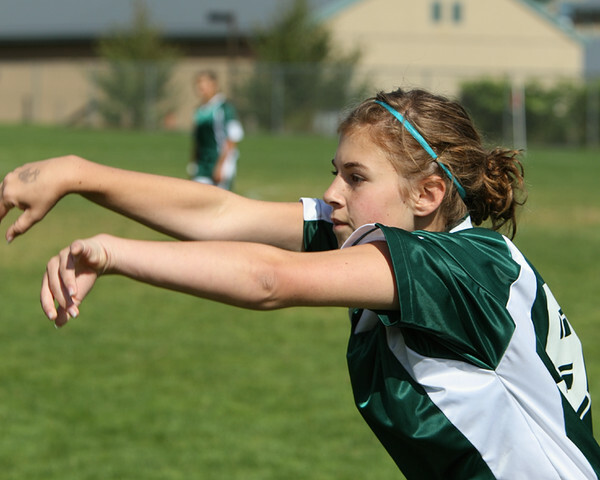 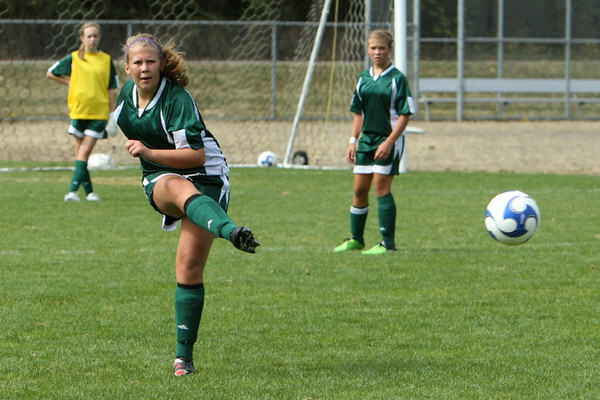 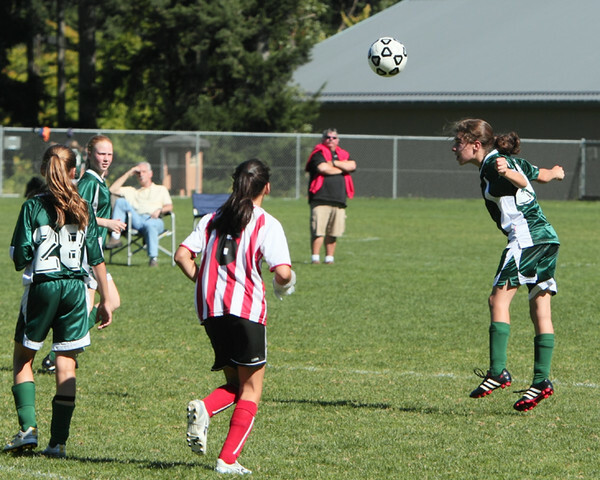 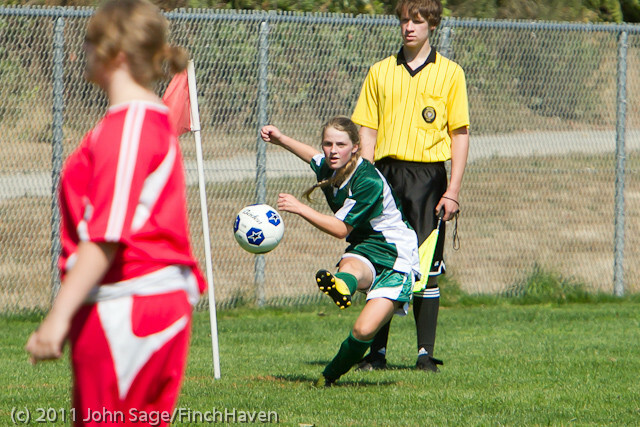 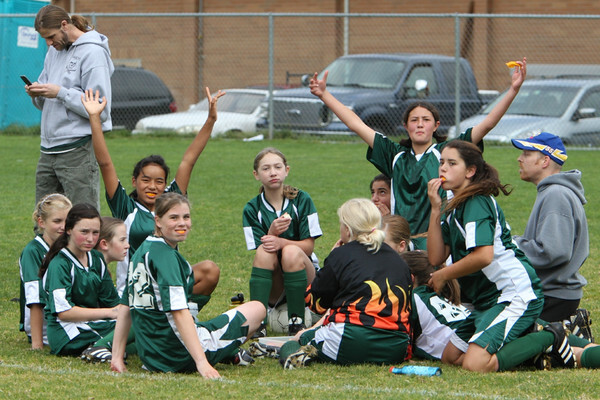 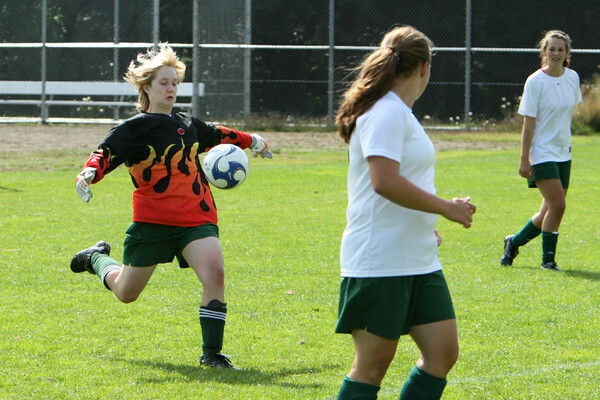 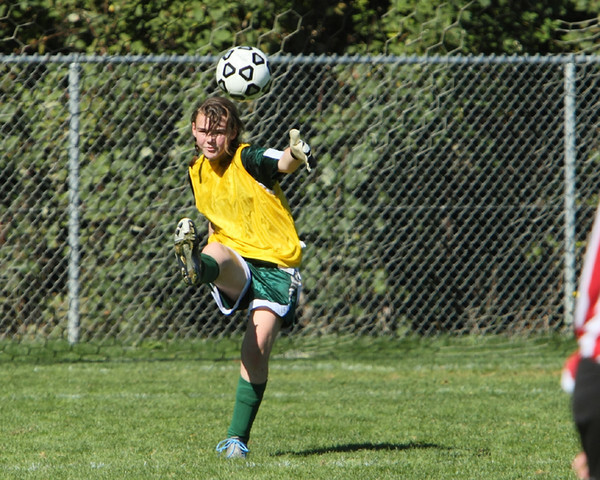 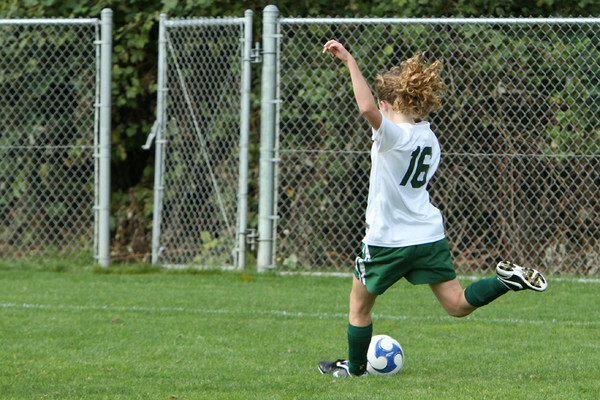 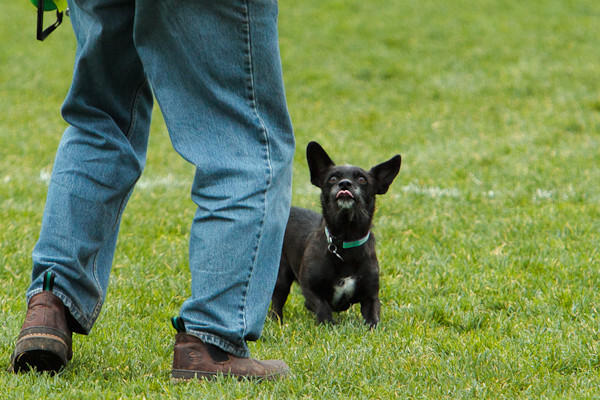 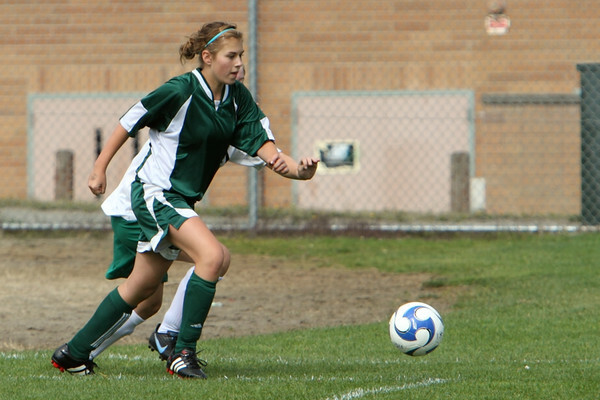 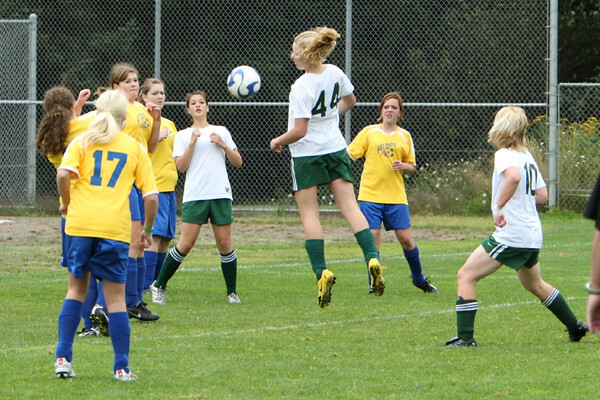 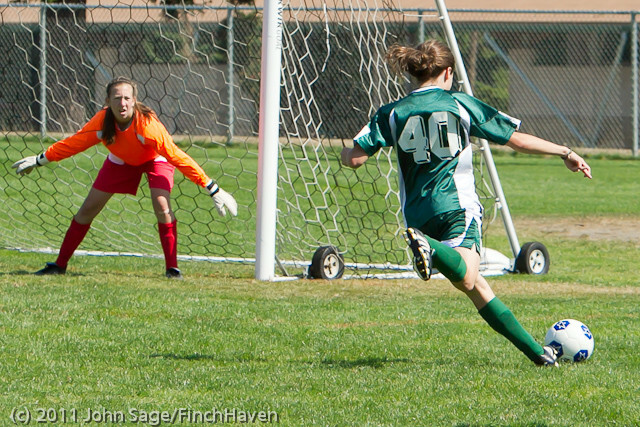 You might also enjoy: VHS Girls JV Soccer v Orting 09/27/2010! 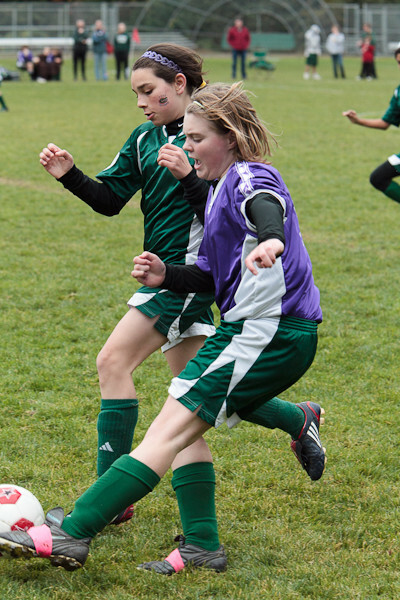 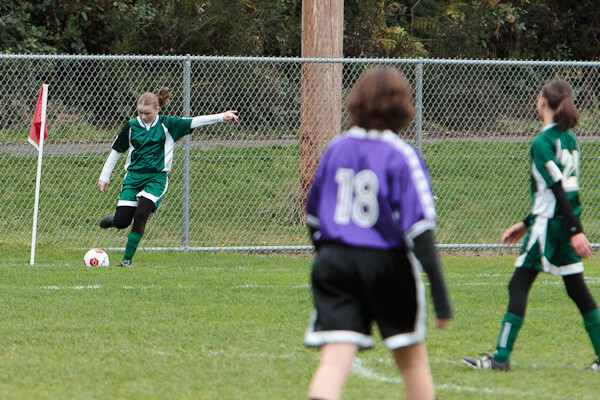 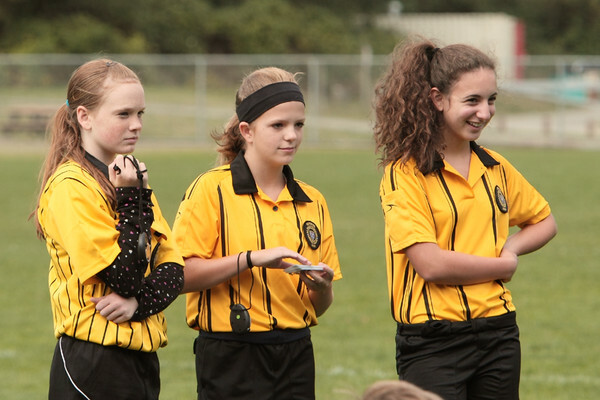 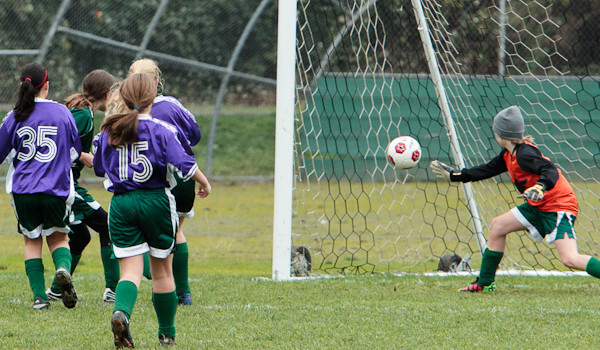 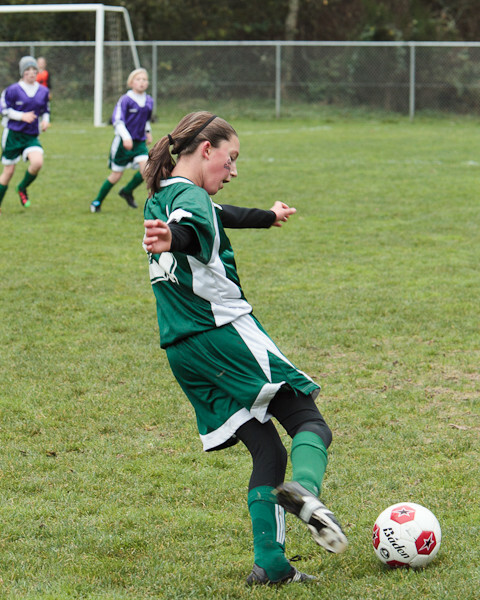 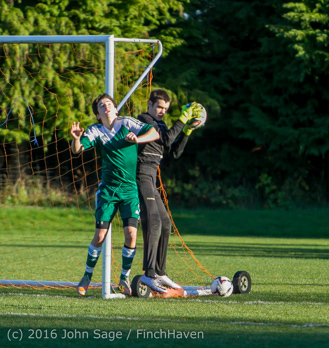 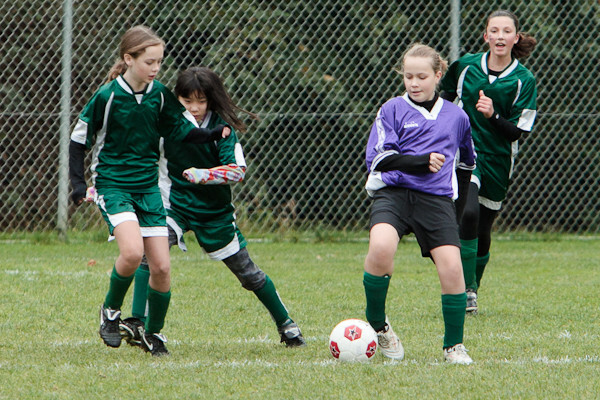 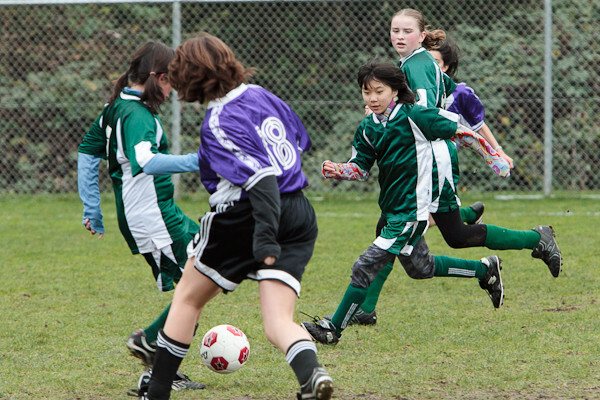 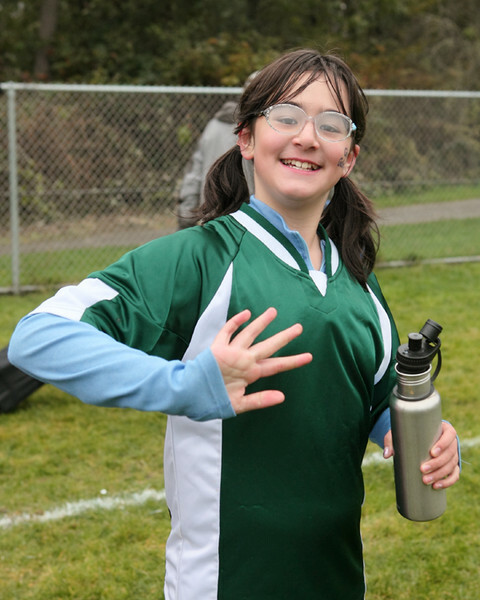 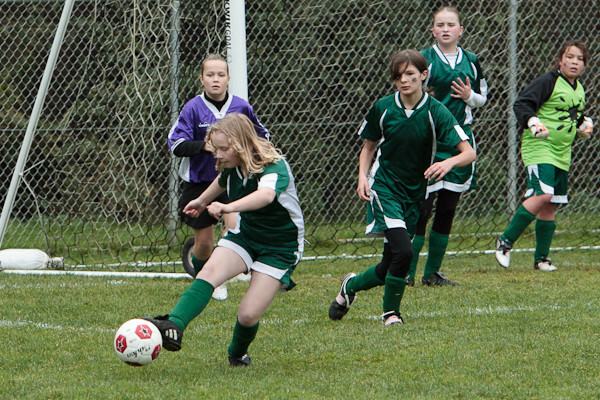 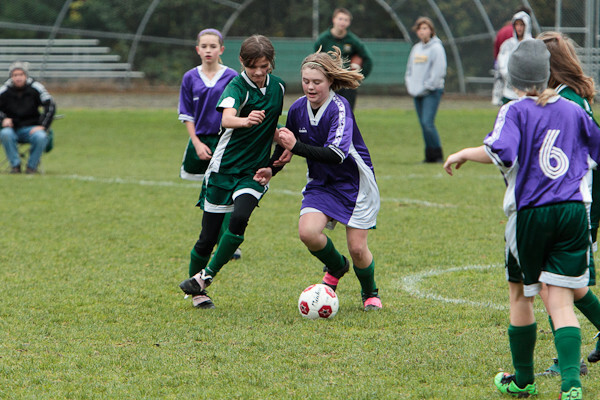 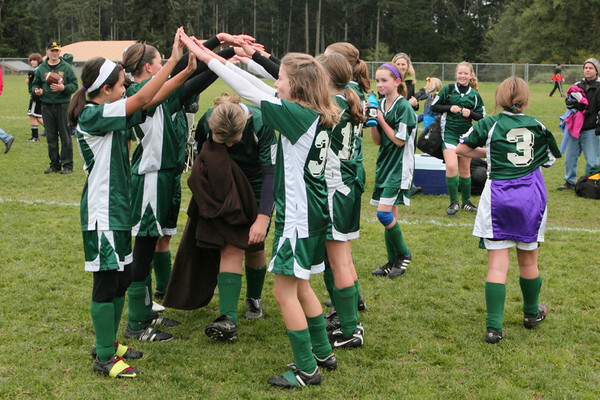 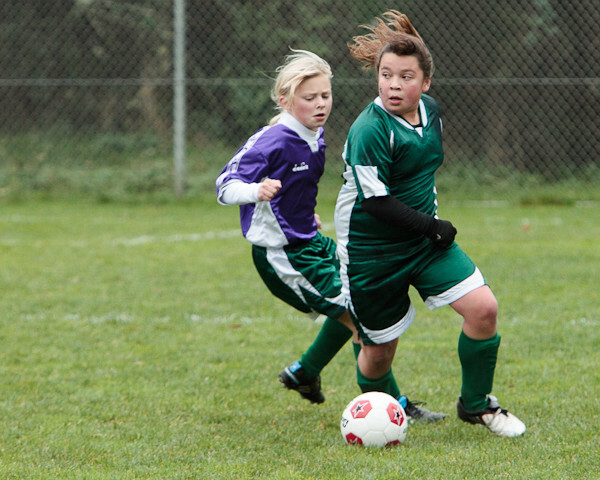 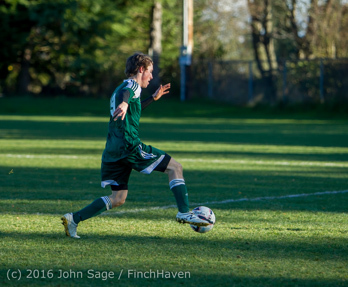 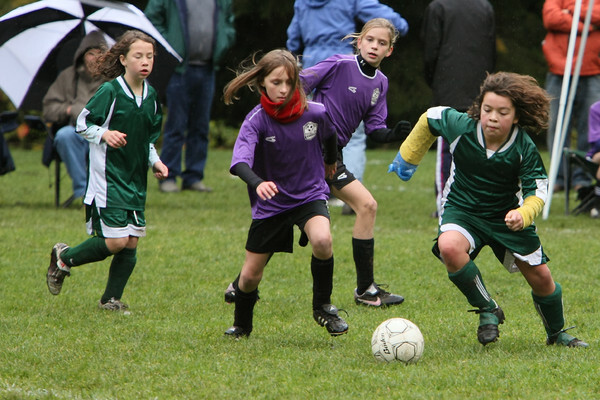 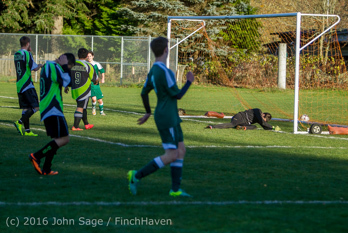 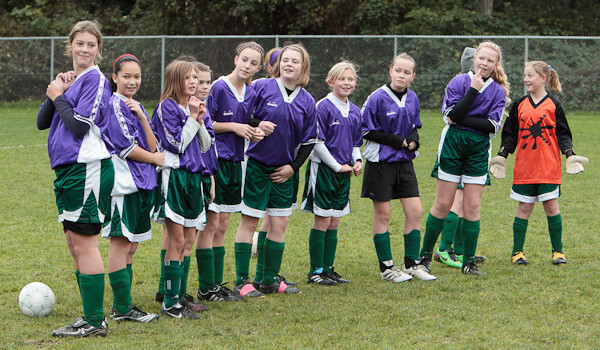 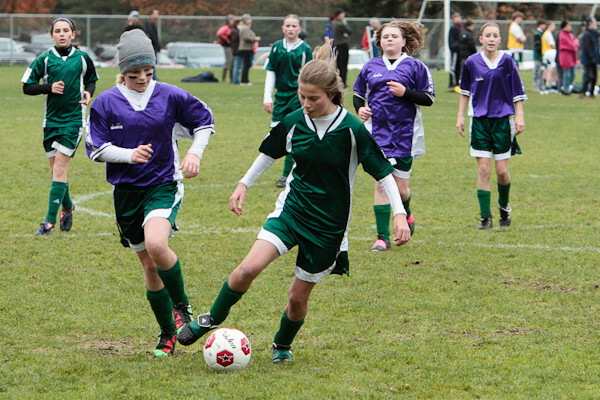 I don't know if you've been following the world of Vashon Island Soccer Club GU-12 soccer this year, but there's been an heroic battle going on between two Island teams all season, the Vashon Alligators GU-12's and the Vashon Pirates FC GU-12's. 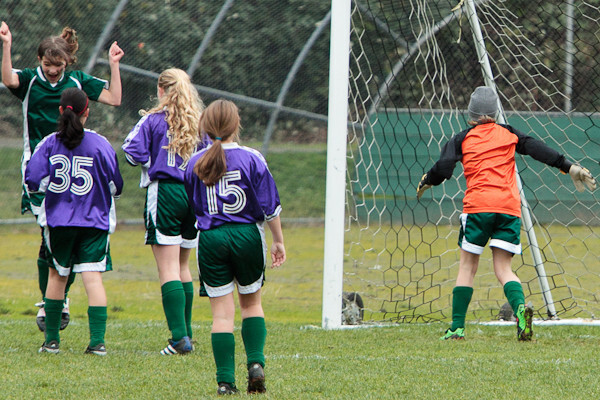 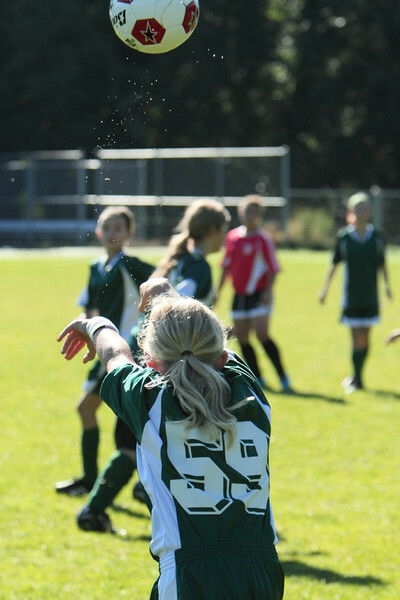 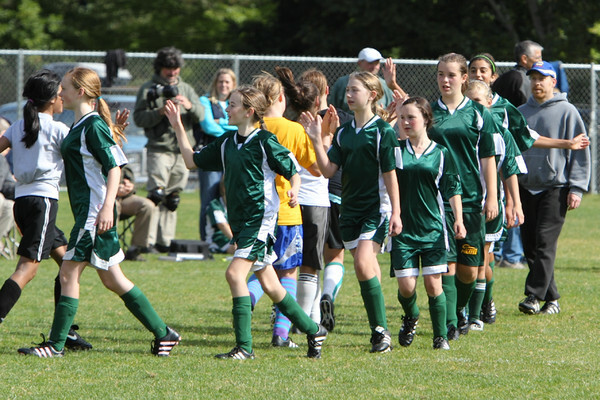 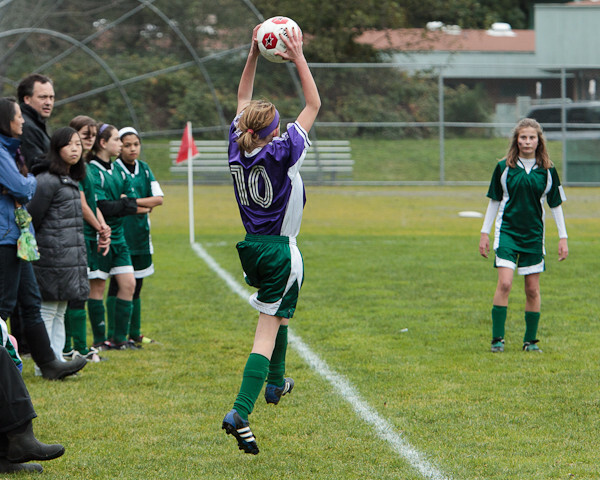 The two teams have either been tied for first place in their Tacoma-Pierce County Junior Soccer Association GU-12 Silver division or have been first place-second place this entire season. 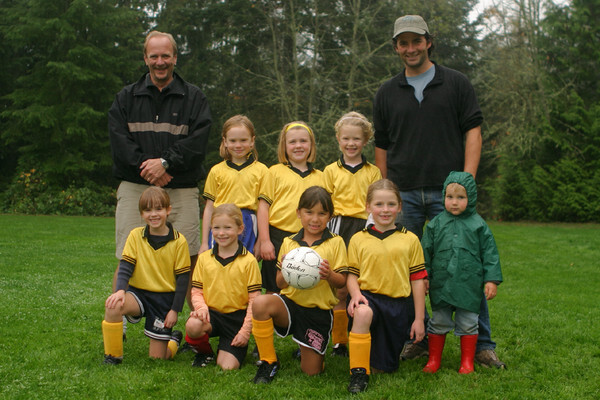 The Alligators and the Pirates FC have played head-to-head against each other twice, first in the classic late-afternoon "Rainy Derby" on Sunday October 9, where the two teams tied 2-2 in a monsoon-like downpour, and then again on Saturday November 13, where the Alligators won 1-0 on a first-half goal by Josie C.
So what's this "(un-official) Good Sportsmanship Award" all about? 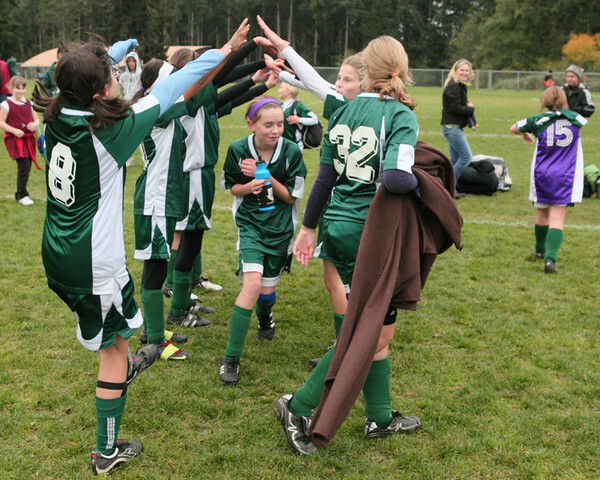 After the game was over this last Saturday, the victorious Alligators came across the field and did a celebratory tunnel for the Pirates FC! 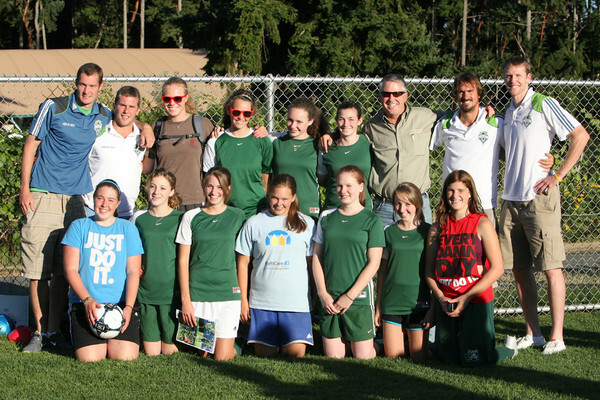 I just thought it was so cool that the Alligators did this that I'm awarding the first annual Mr Sage's Good Sportsmanship Award to the Alligators, and a runner-up to the Pirates FC for being in such good cheer despite having just lost to their on-Island rivals! 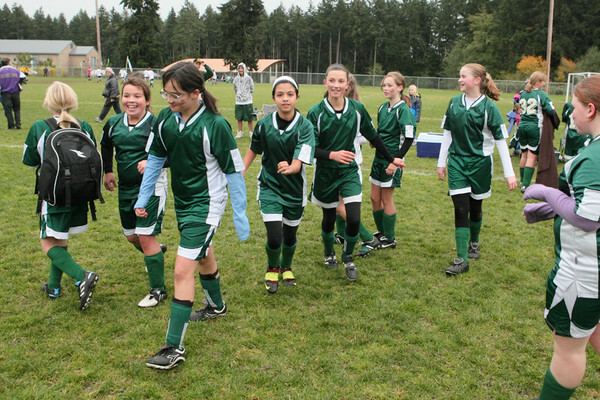 Pirates FC GU-12, September 25, 2010! 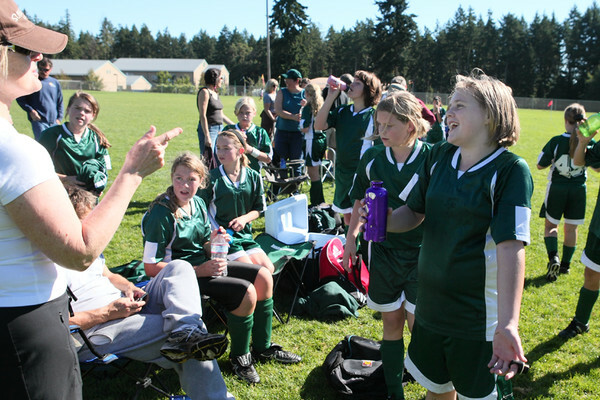 VISC Vashon Velocity GU-13, September 25, 2010! 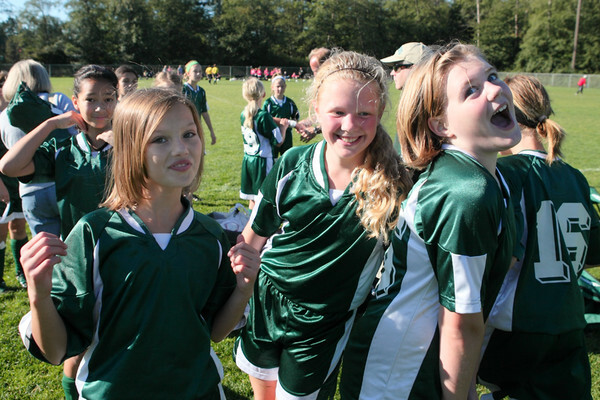 Vashon United White GU-13, September 11, 2010! 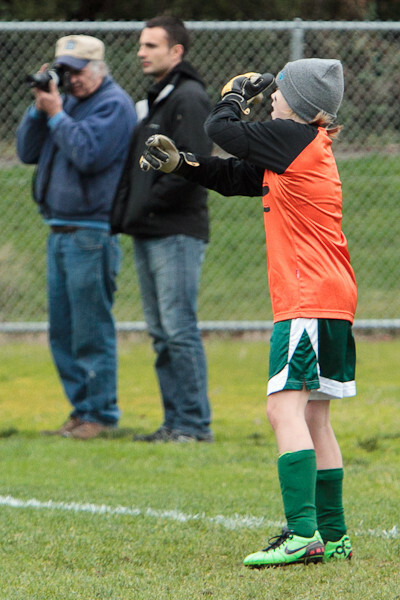 I didn't really get as many good photos as I would have liked -- as with the Eagles I was trying to shoot two games at once, and it didn't work out well. 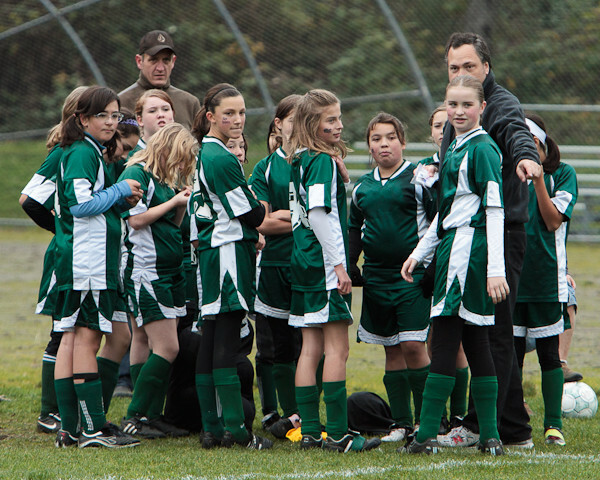 Alligators GU-12, September 11, 2010! 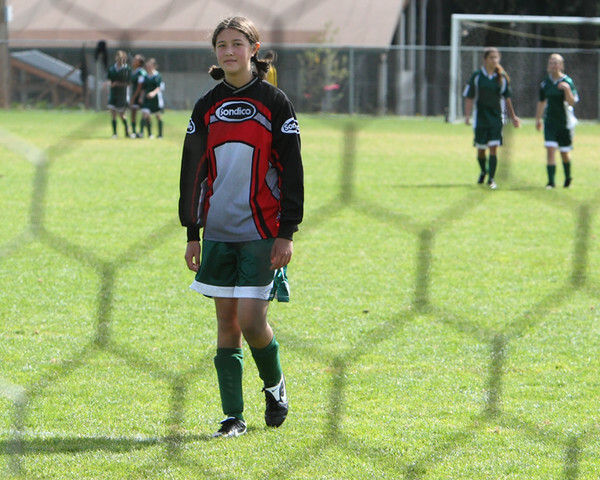 Eagles GU-16, September 11, 2010! 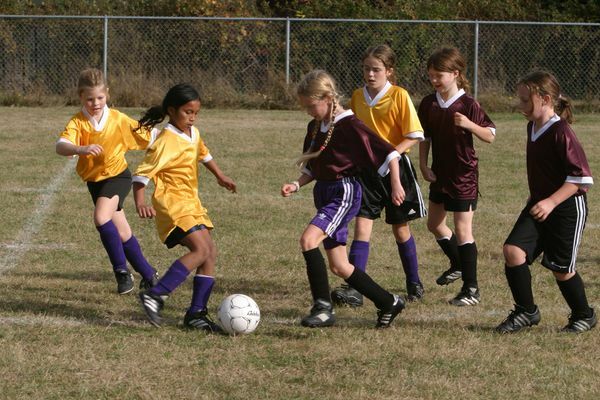 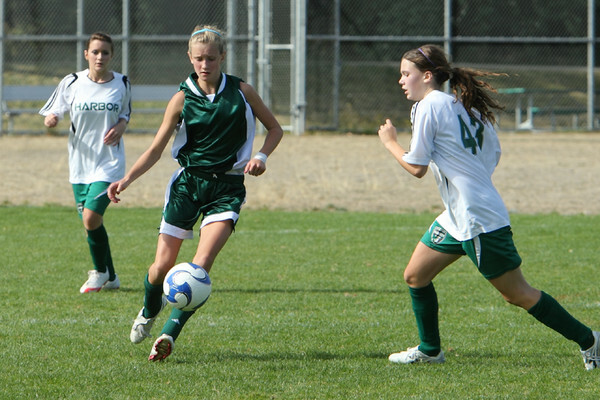 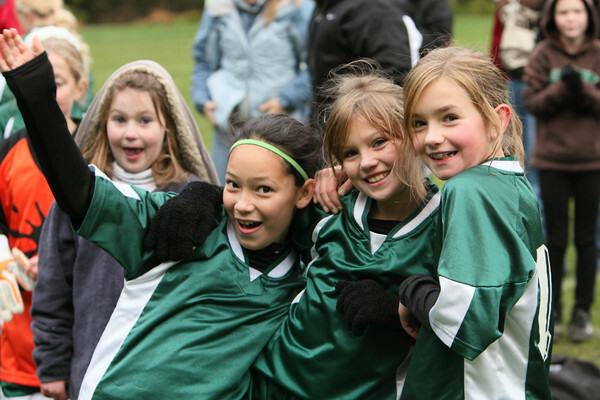 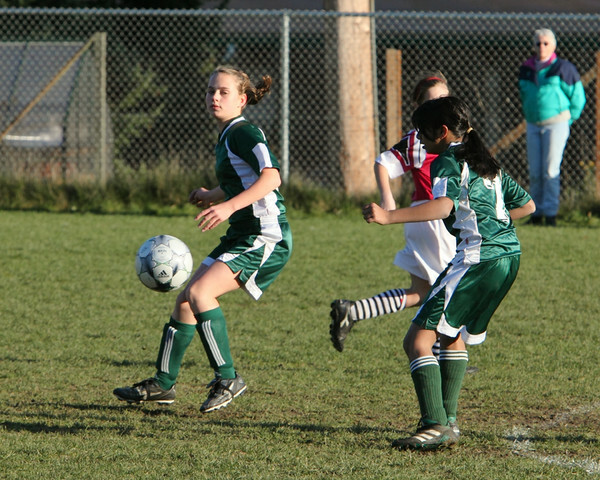 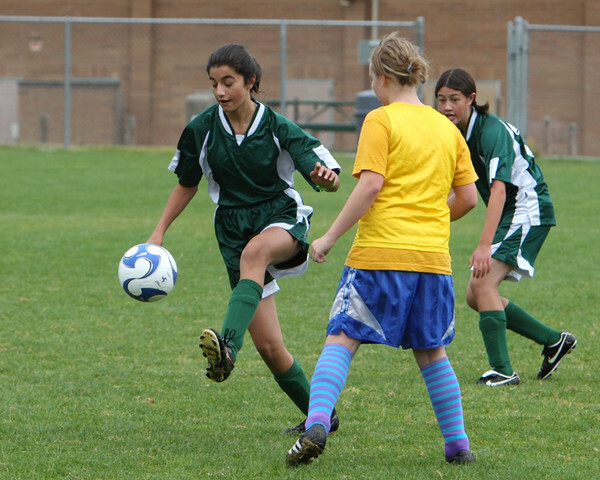 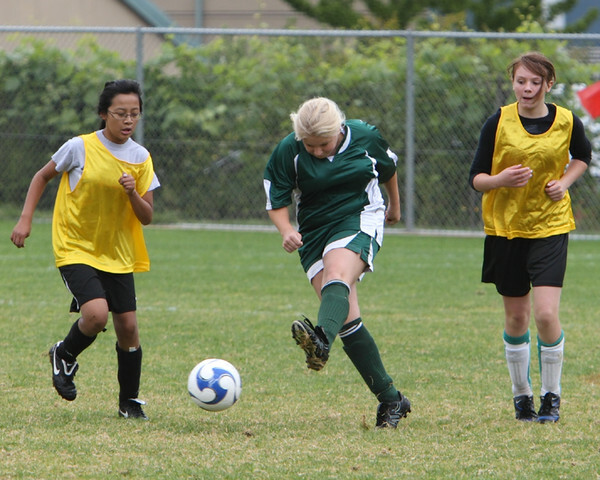 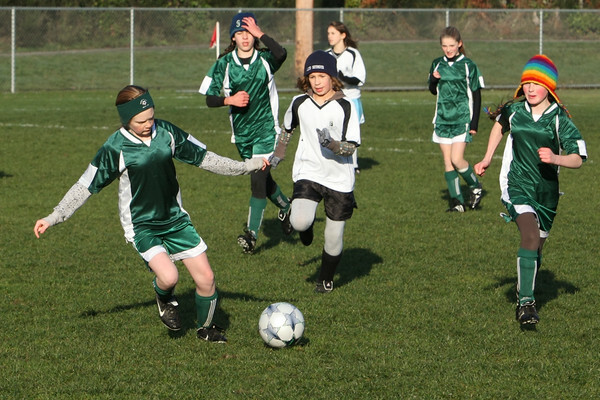 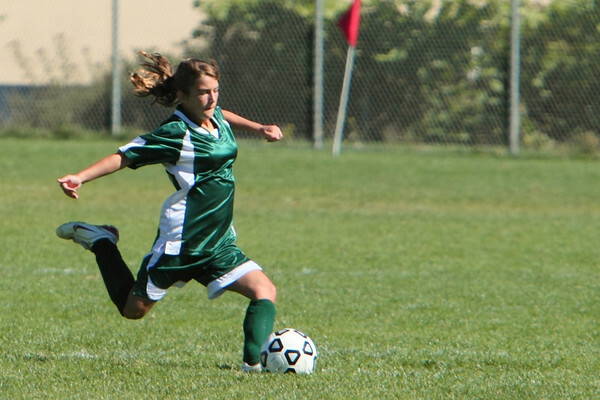 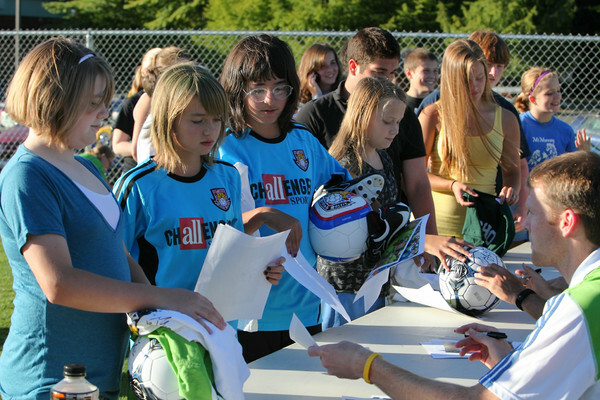 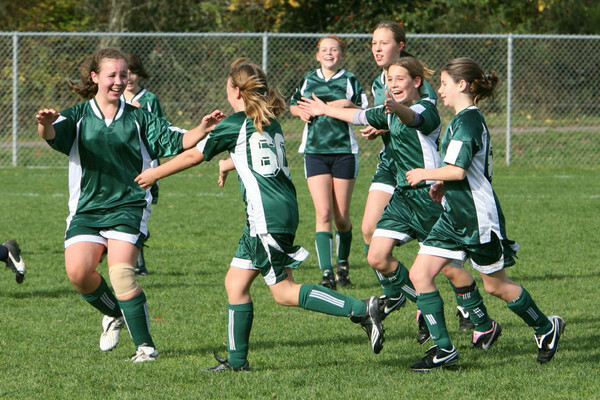 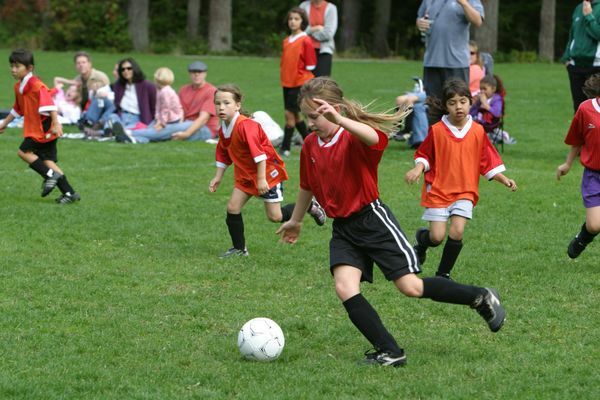 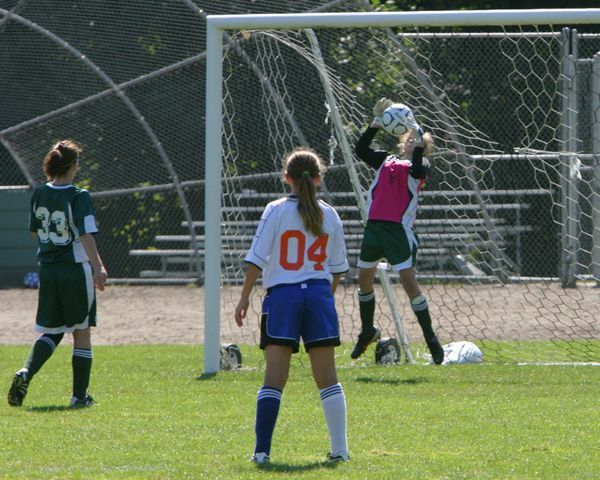 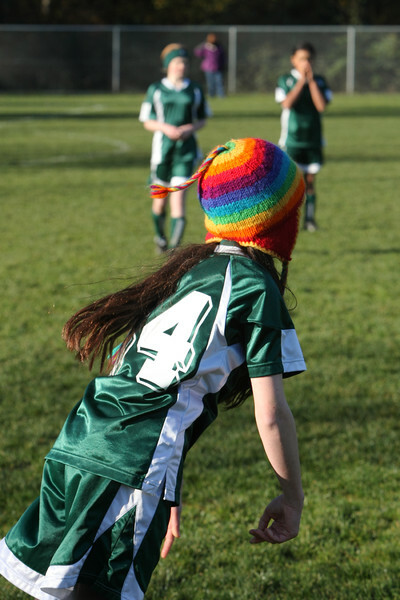 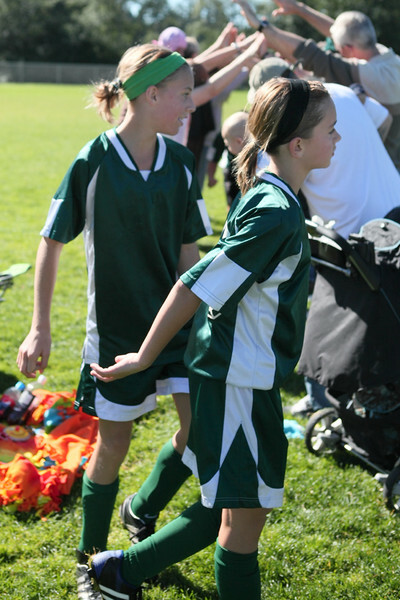 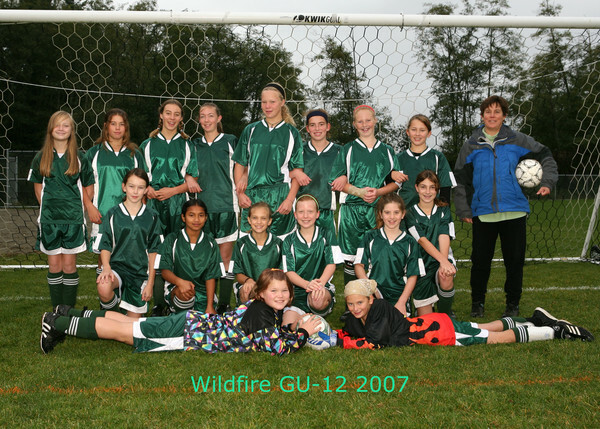 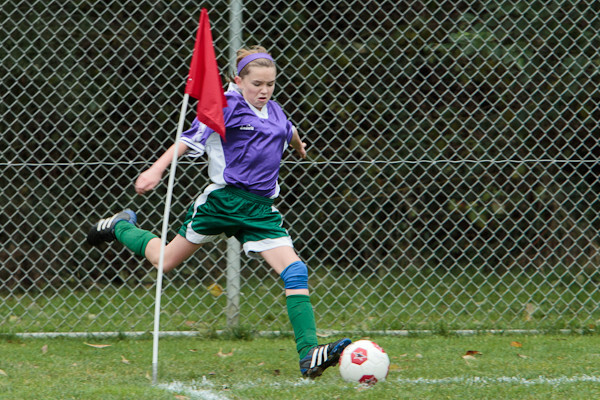 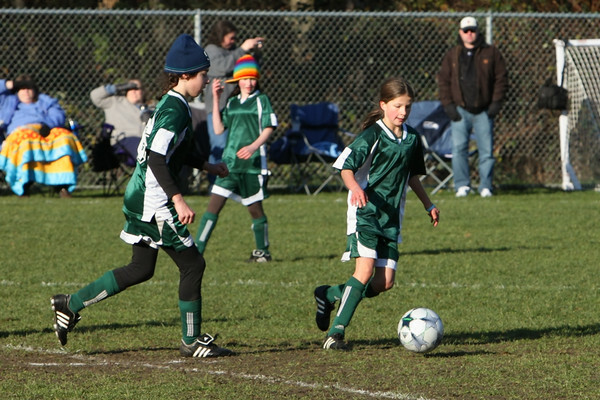 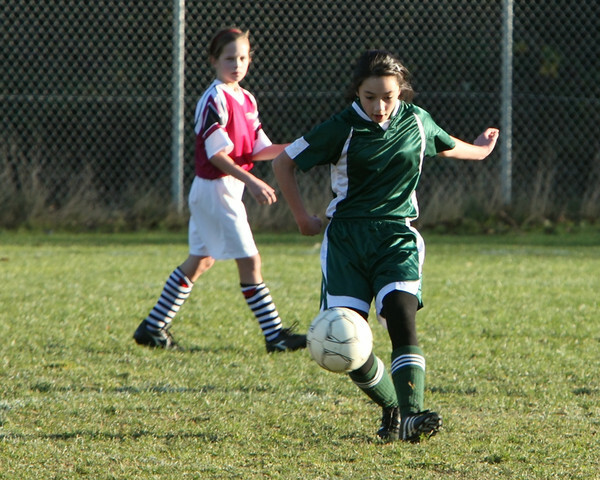 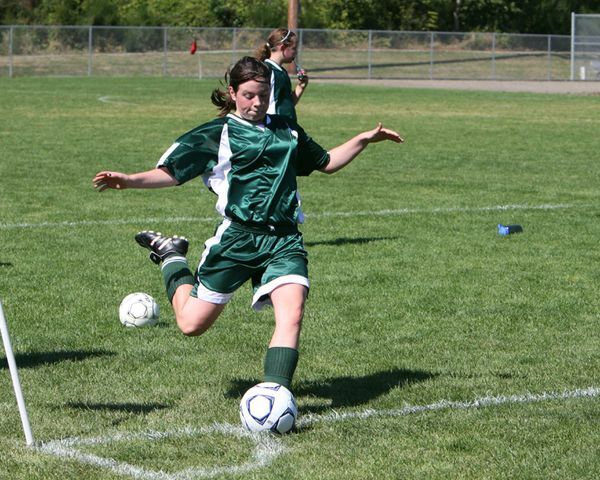 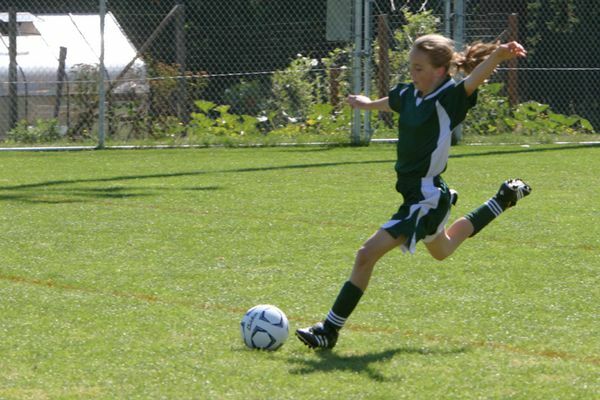 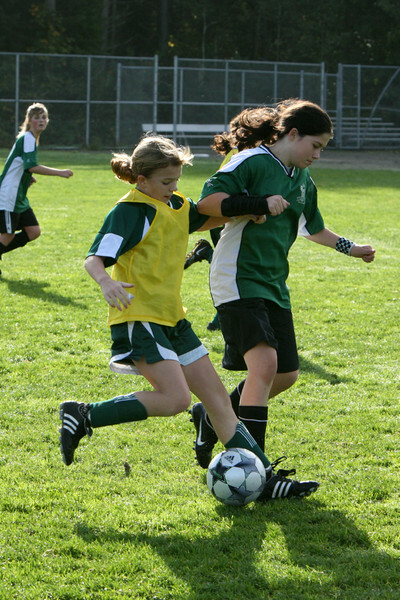 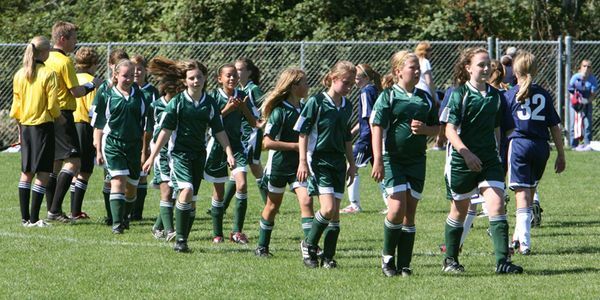 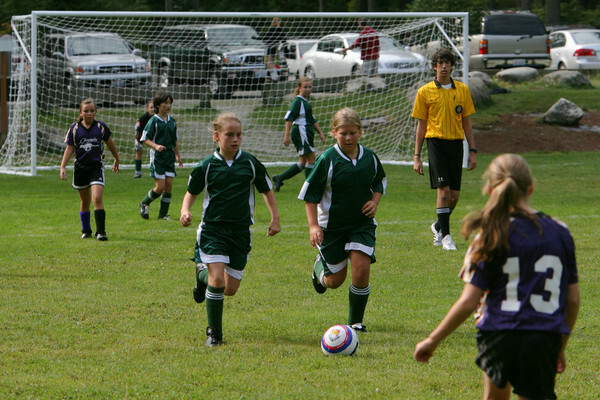 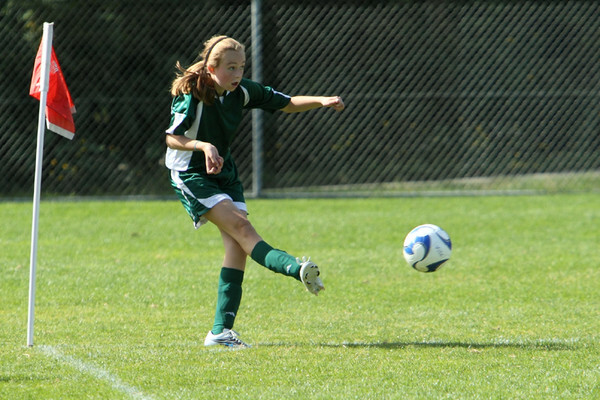 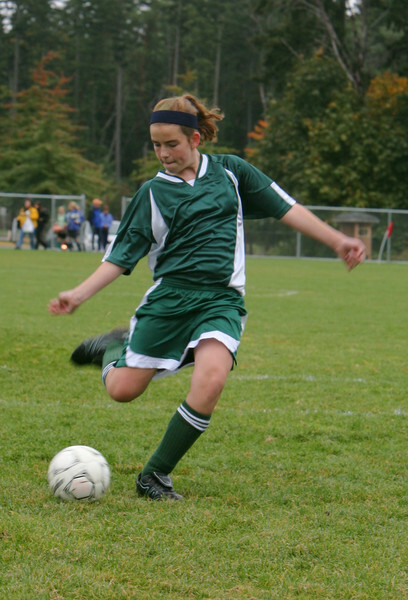 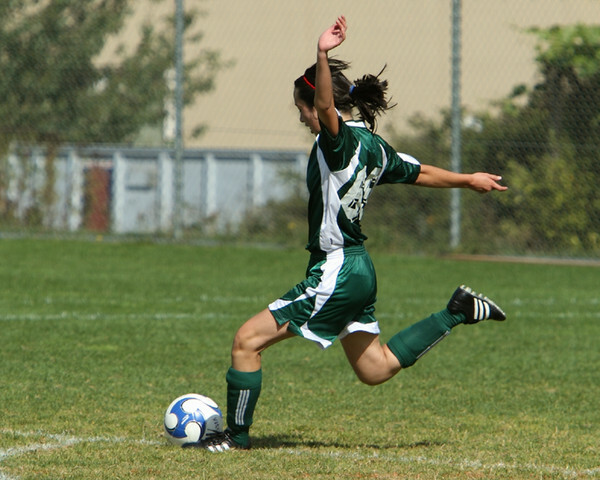 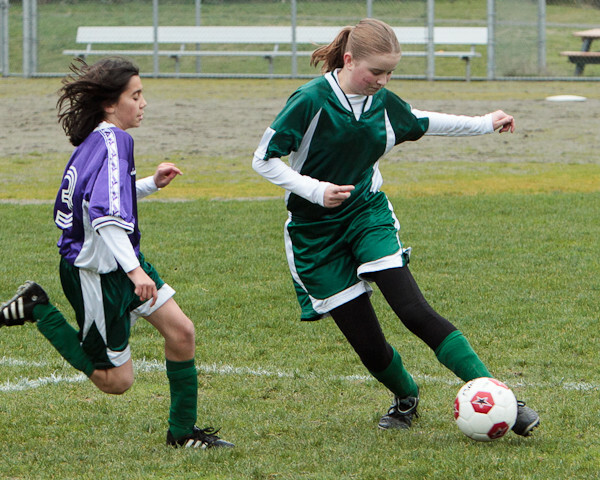 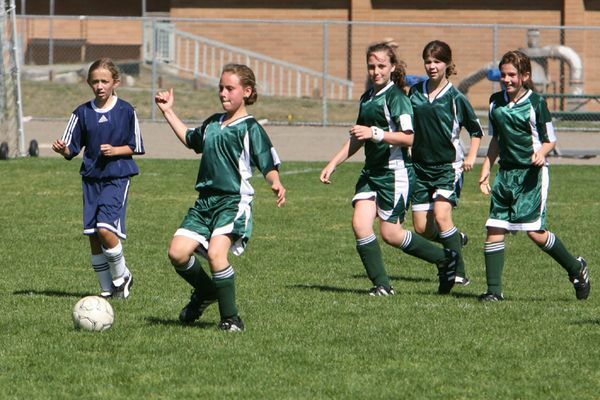 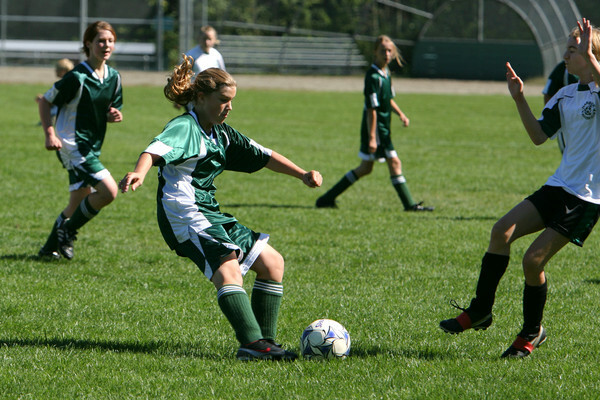 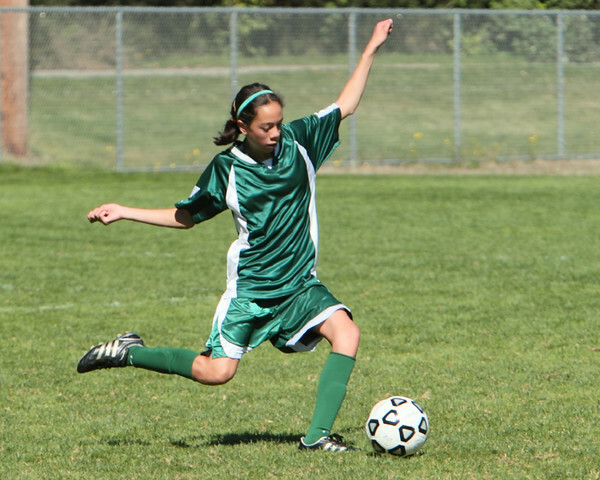 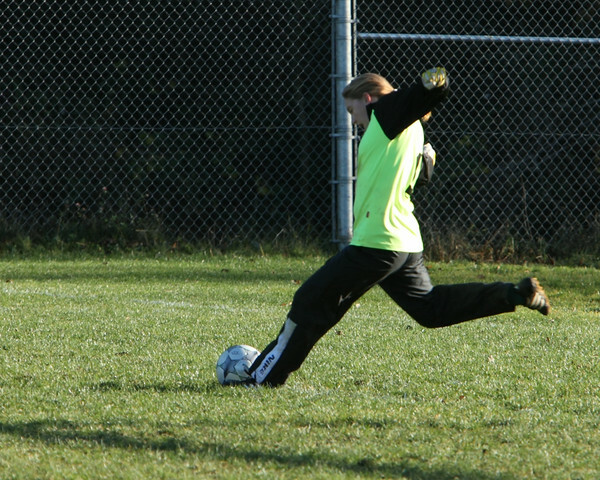 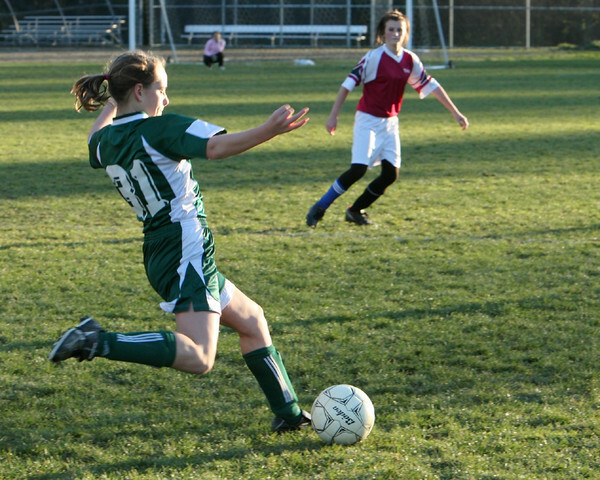 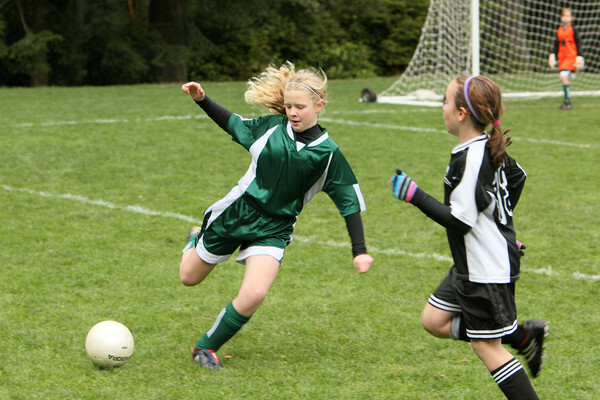 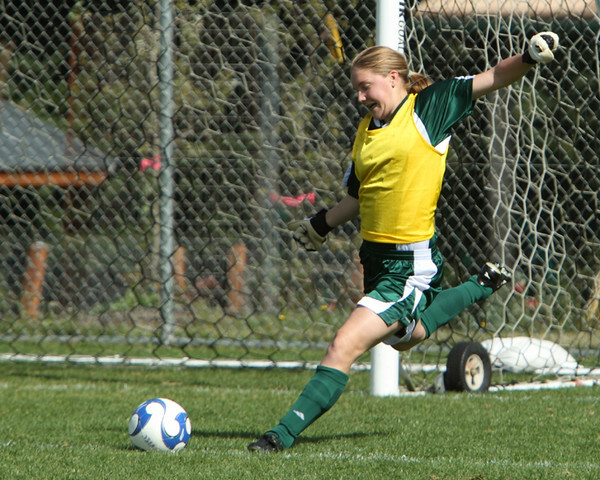 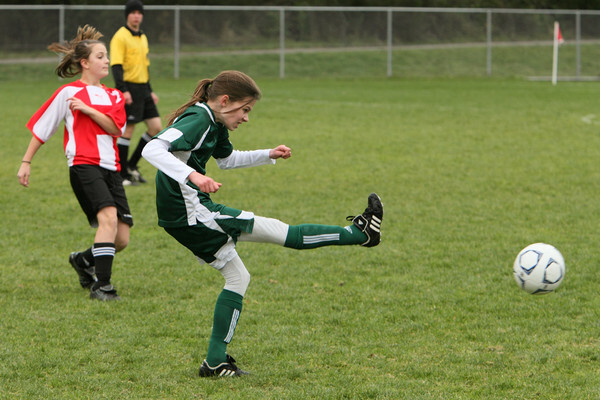 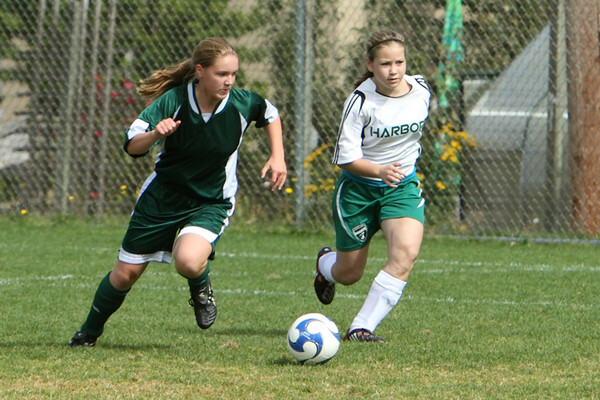 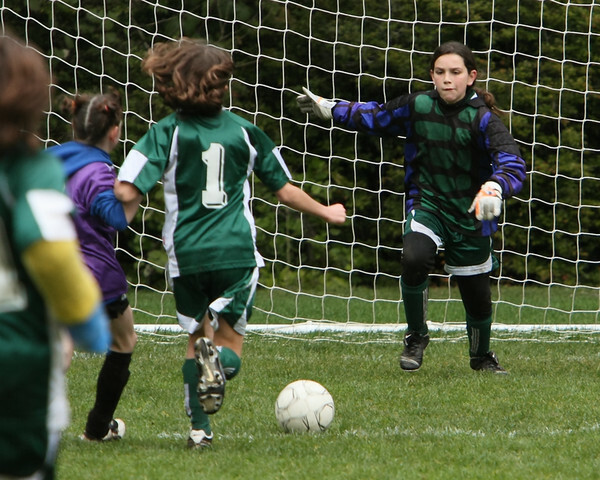 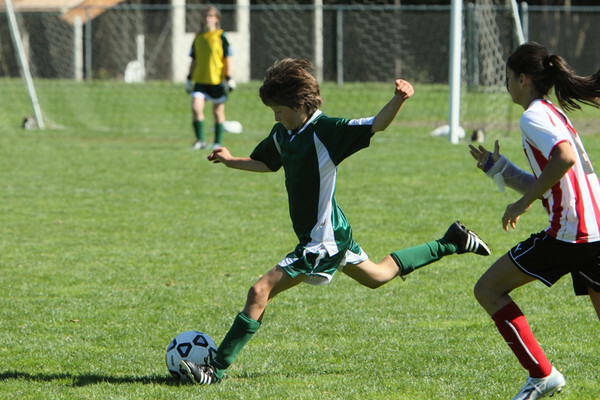 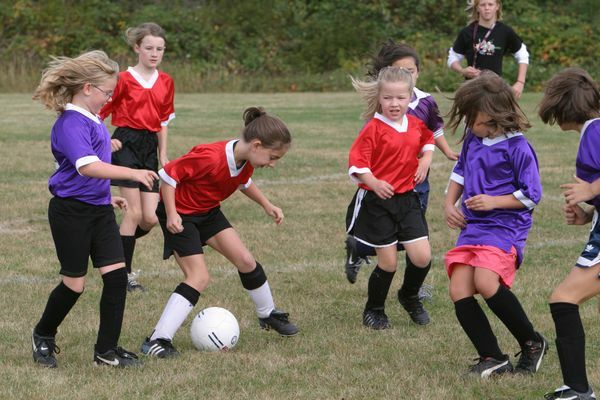 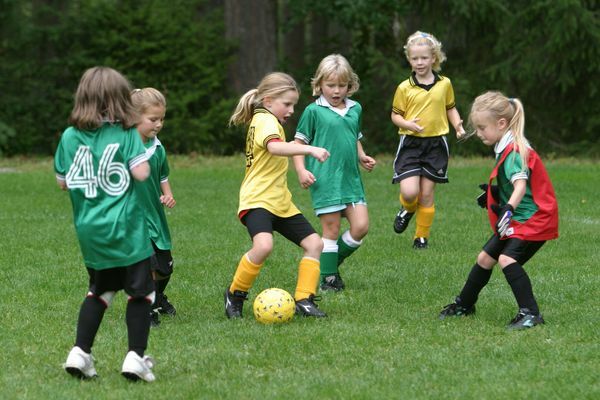 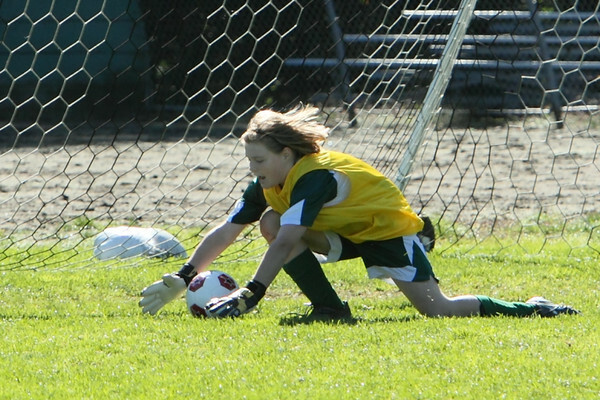 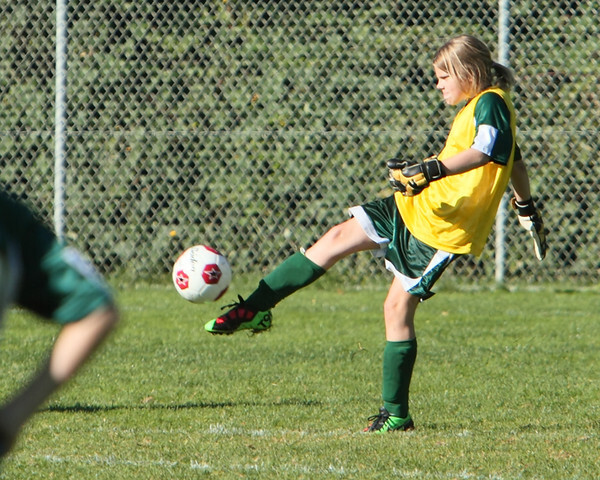 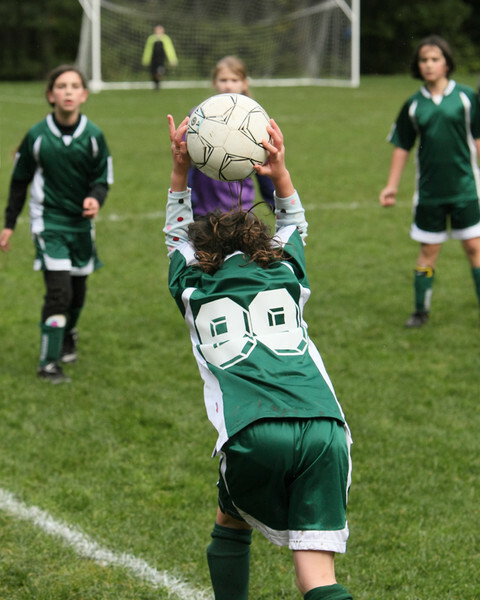 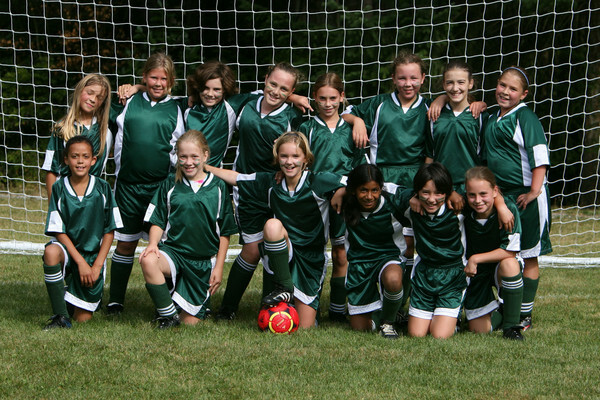 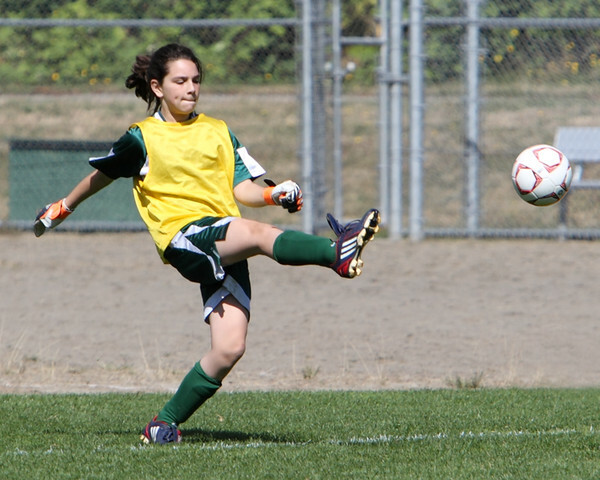 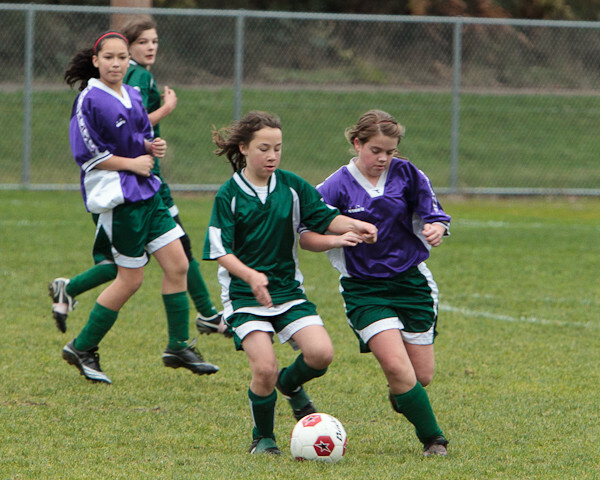 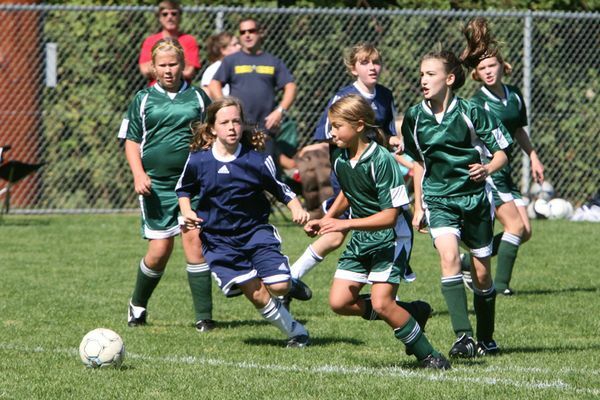 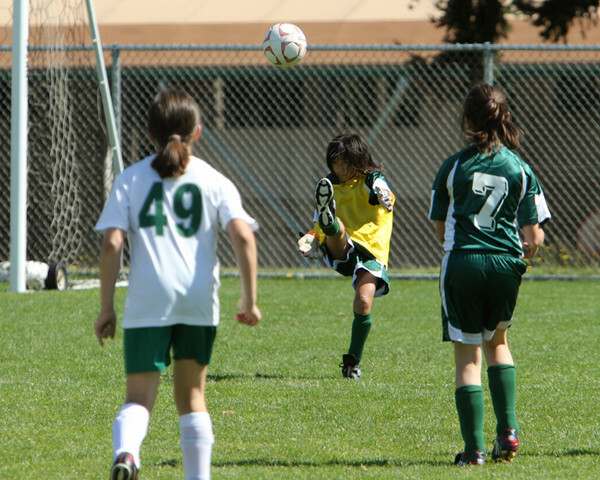 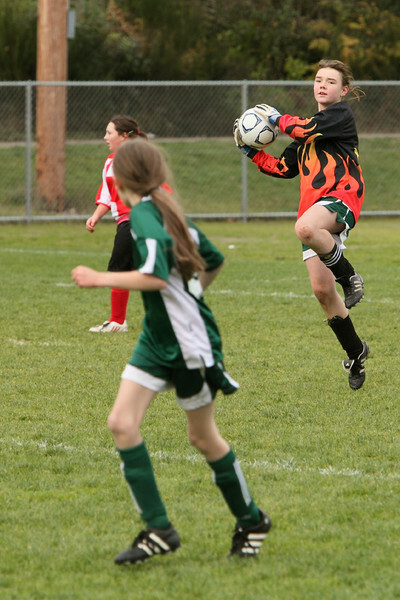 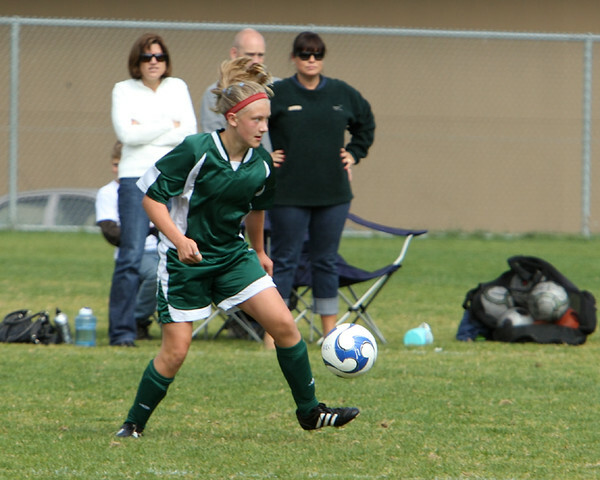 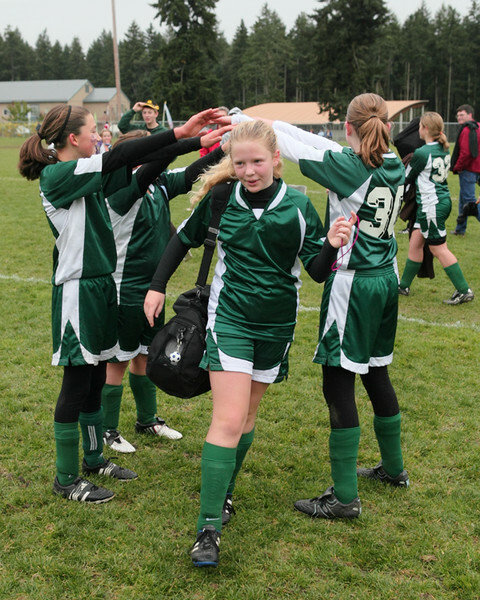 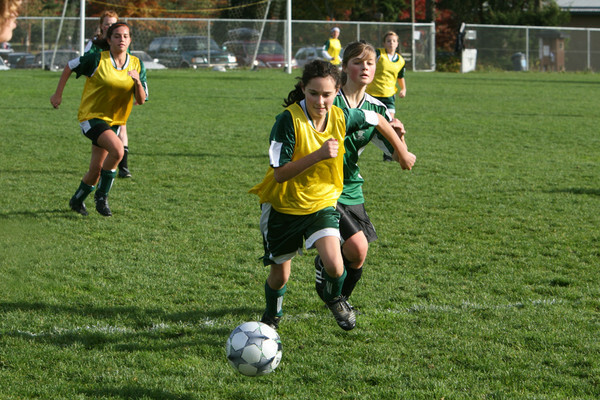 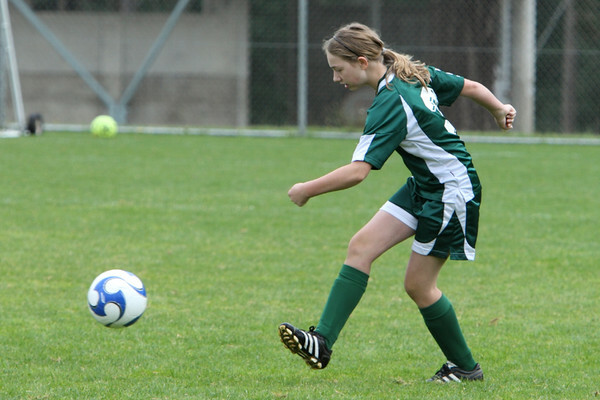 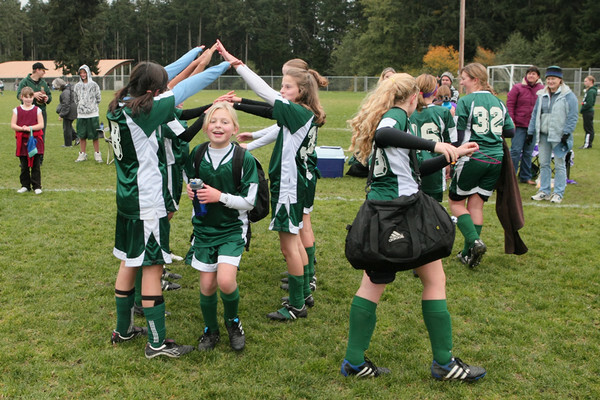 And check out: Eagles GU-13, September 08, 2007! 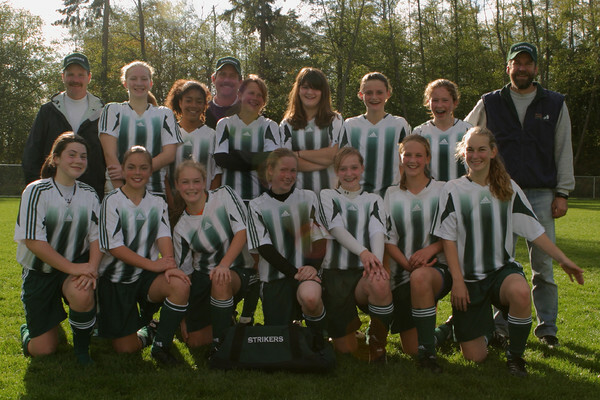 Buccaneers GU-14, September 11, 2010! 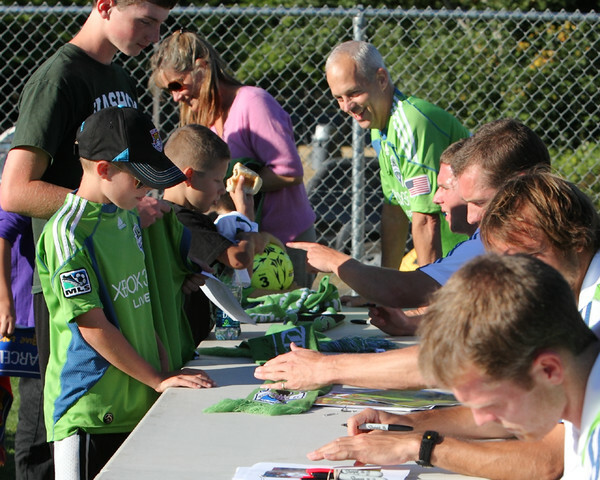 Four Seattle Sounders (Mike Fucito, Nate Jaqua, Roger Levesque and Taylor Graham) came to the Island Monday, August 23, 2010 to talk about soccer, play a heading game, and autograph photos, teeshirts, jerseys, scarves, and other soccer items for over 100 Vashon Island Soccer Club kids, parents and friends! 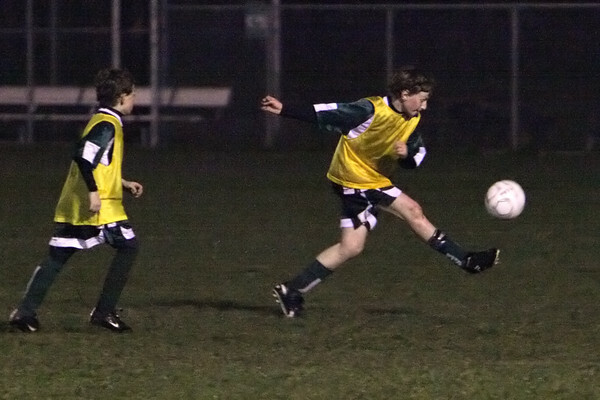 These were shot at night out under the lights at McMurray. 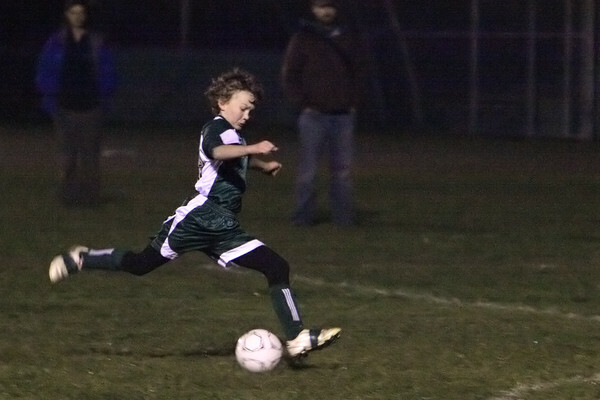 There"s not really enough light for photography, but my new Canon EOS 5D Mark II did an amazing job with what it had to work with. 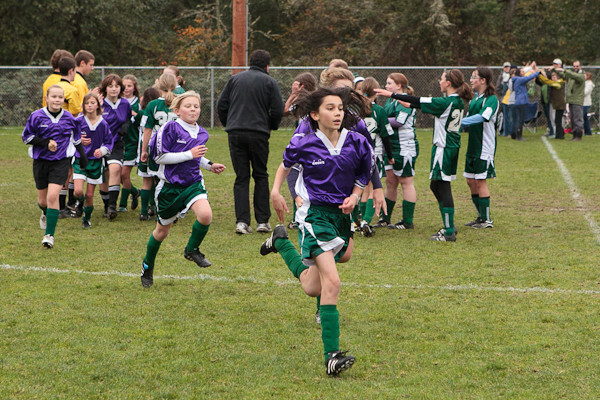 And check this out! 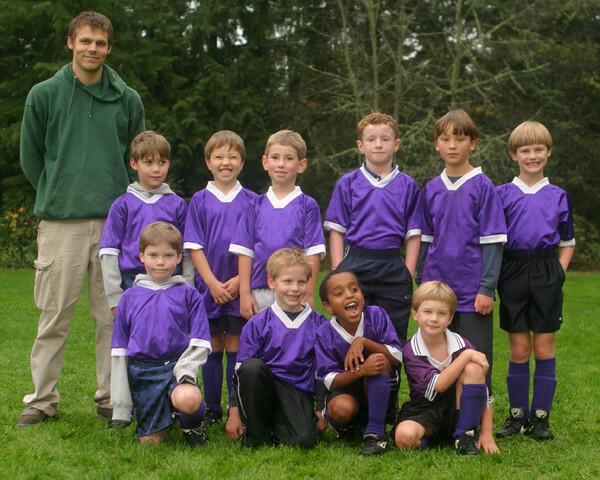 Buccaneers GU-13 from 2009 · Buccaneers GU-11 from 2007! 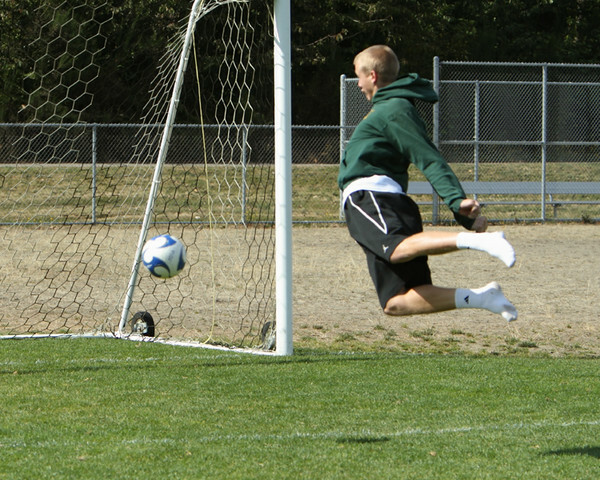 And check this out! 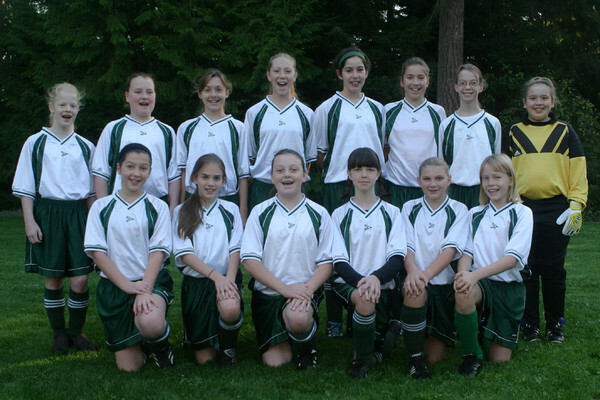 Buccaneers GU-13 from 2009 · Buccaneers GU-12 from 2008! 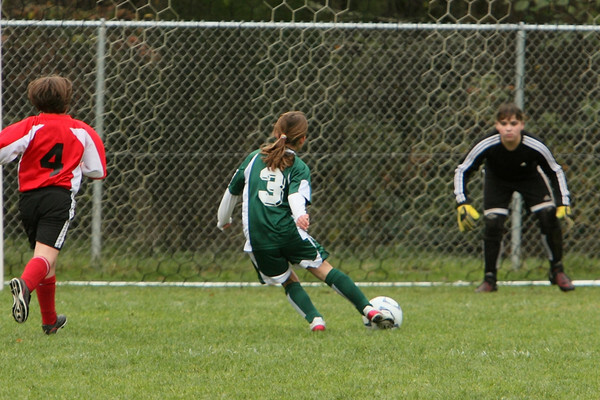 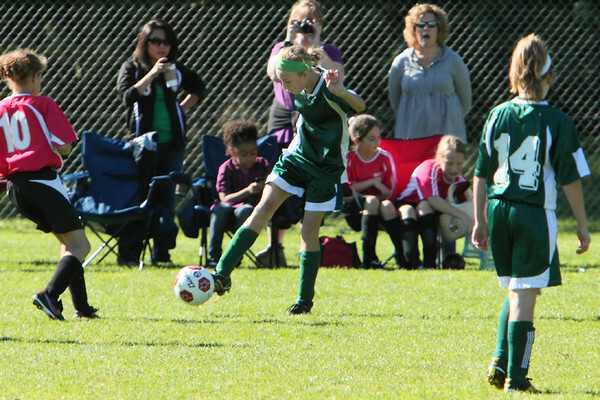 Mia puts the Peppermint Patties up by one over a U-11 team from Tacoma! 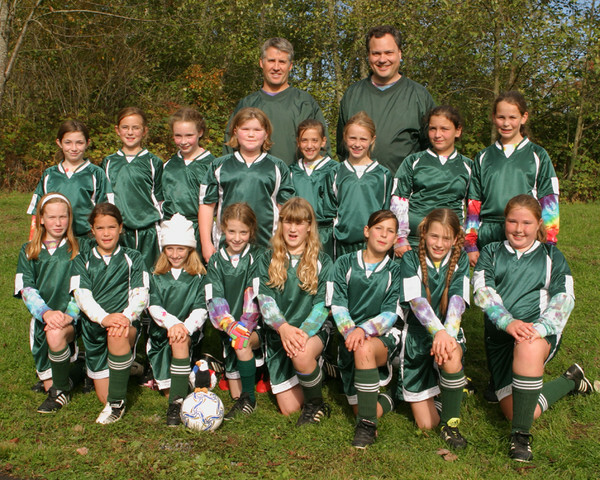 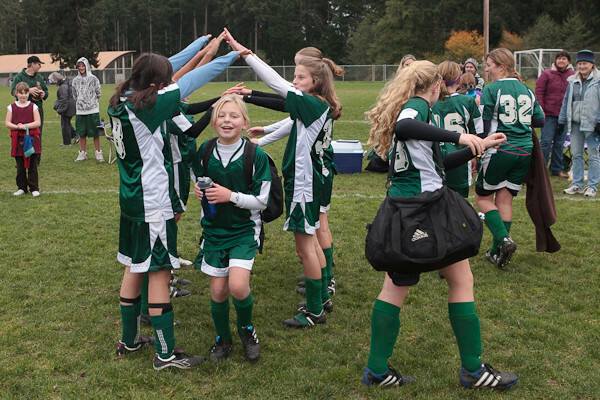 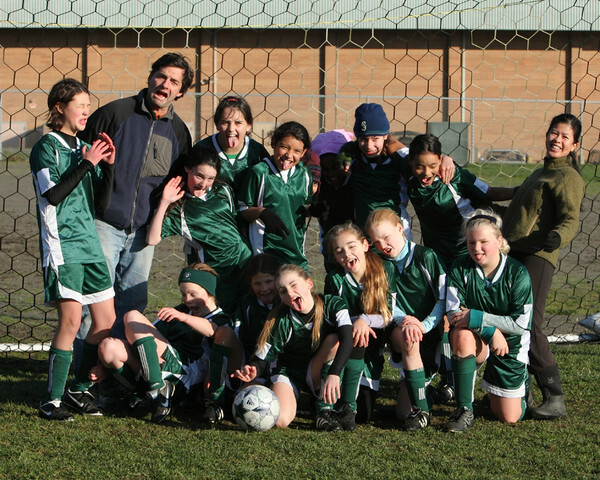 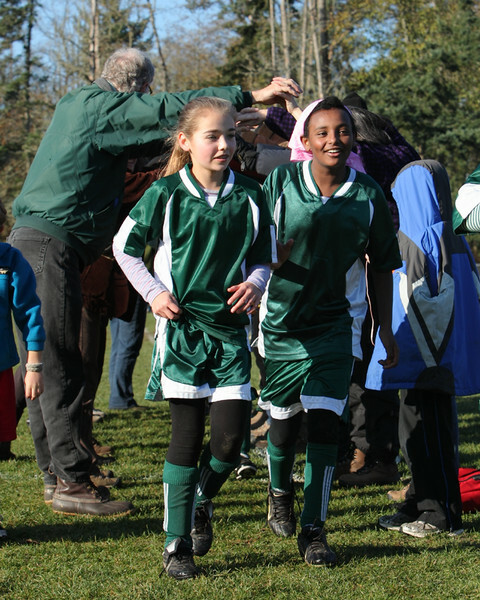 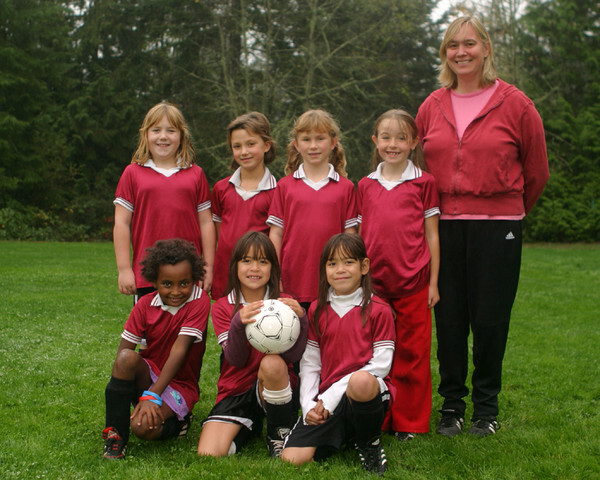 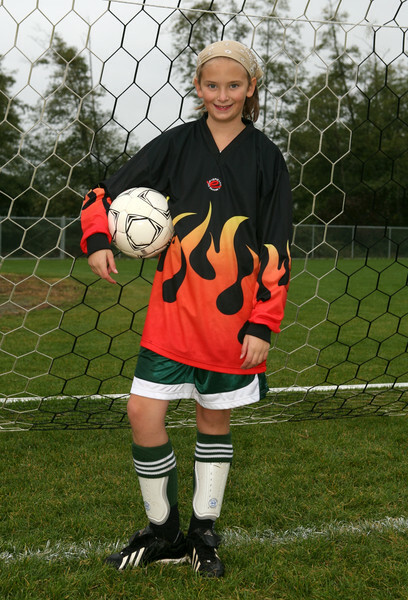 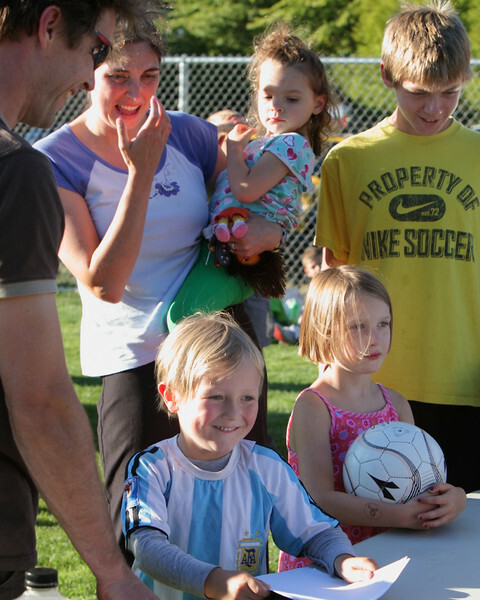 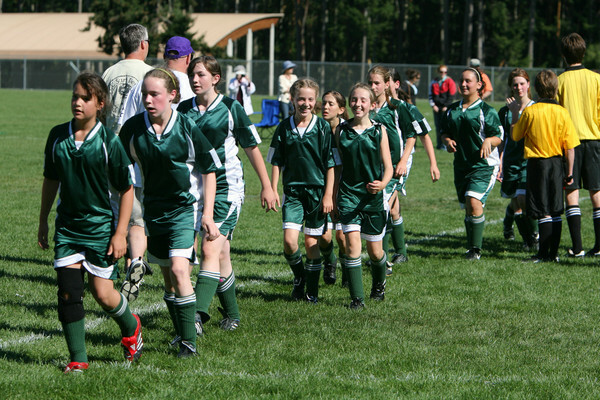 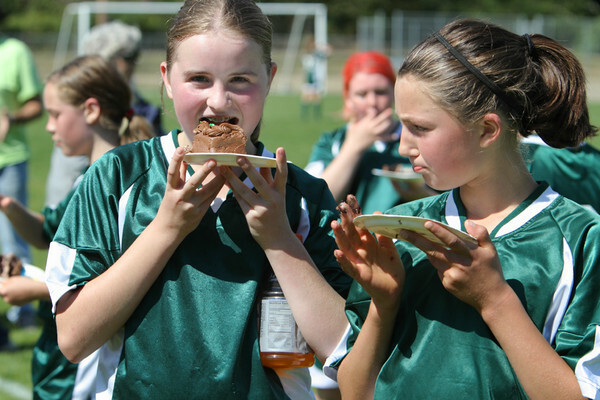 Vashon Island Soccer Club Team Photos 2005!